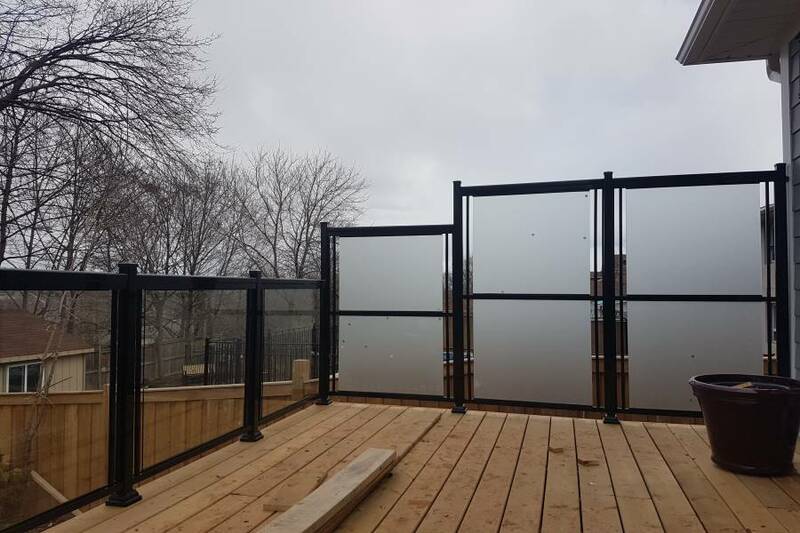 When your heart is set on viewing stunning scenes the combination of aluminum and glass. 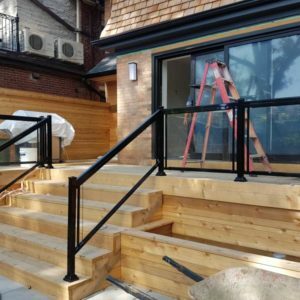 This is a remarkable modern look that most clients are installing. 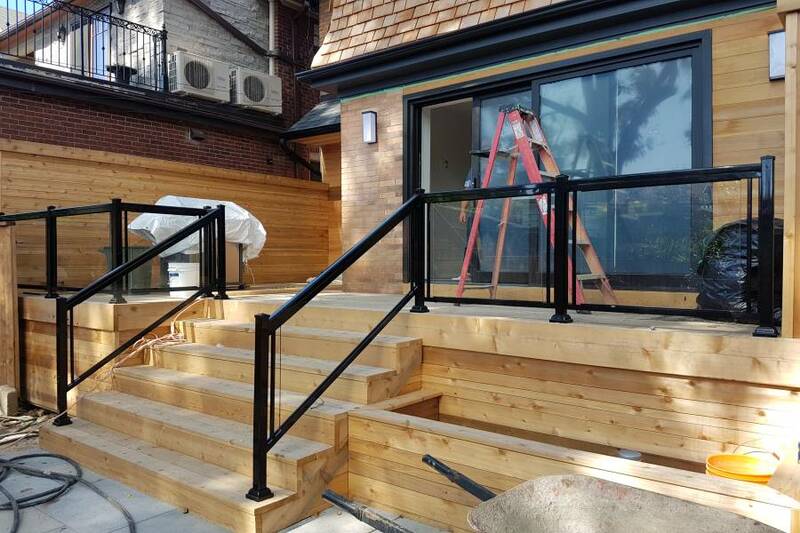 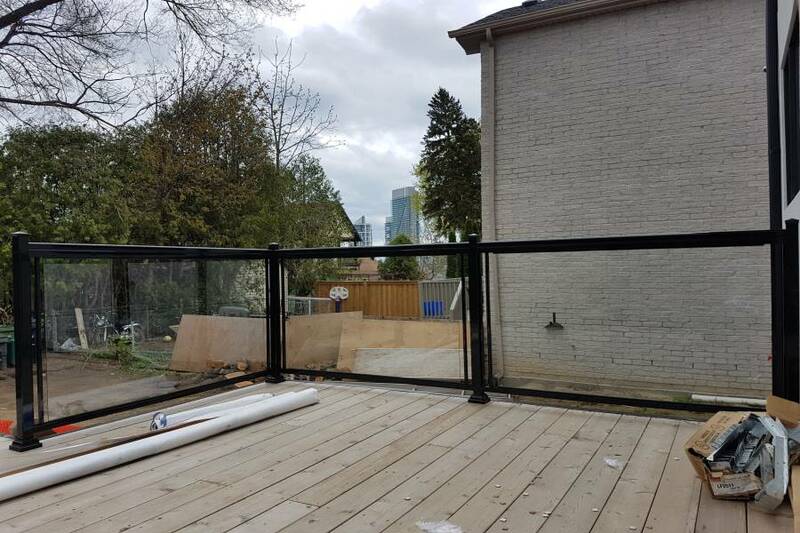 North West Aluminum in a top supplier of aluminum and exterior glass railings in Toronto. 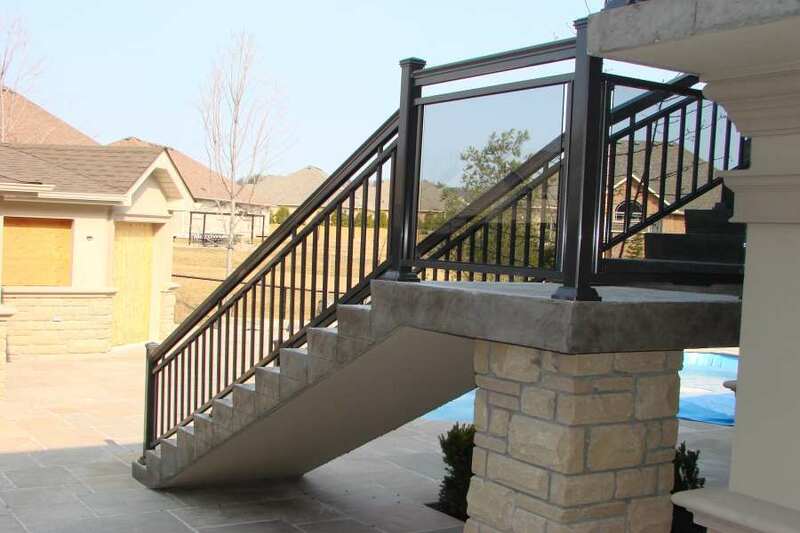 The aluminum and glass combination is a strong choice because it delivers on elegance. 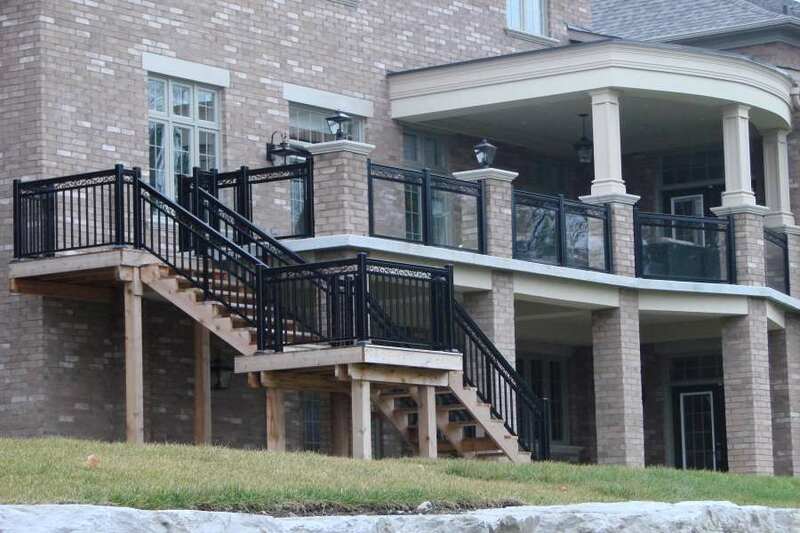 You don’t want your property to look dreadful because you have chosen the wrong railing system. 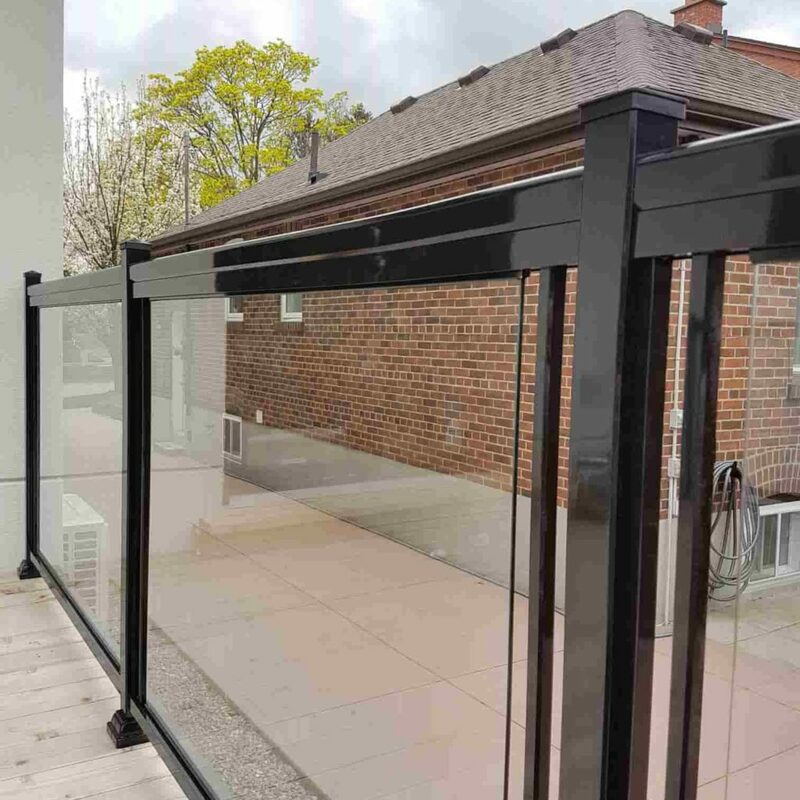 The design will still be strong because NW Aluminum technicians know how to combine the glass and aluminum to enhance strength. 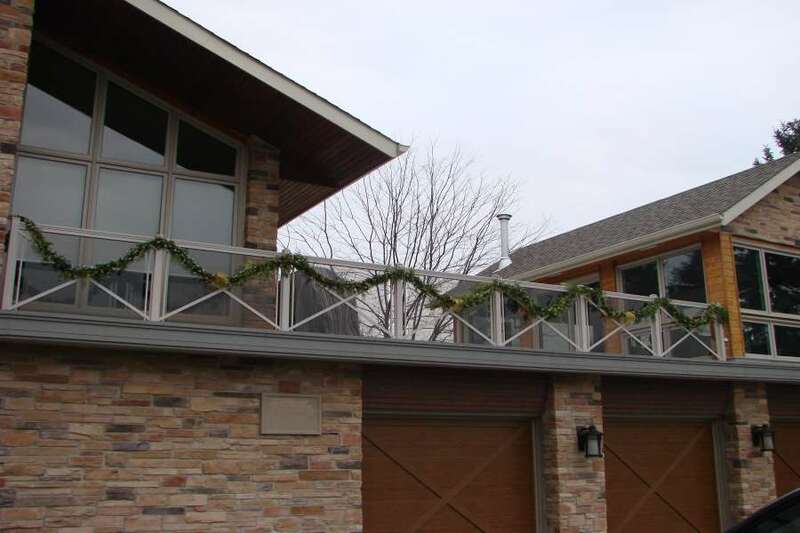 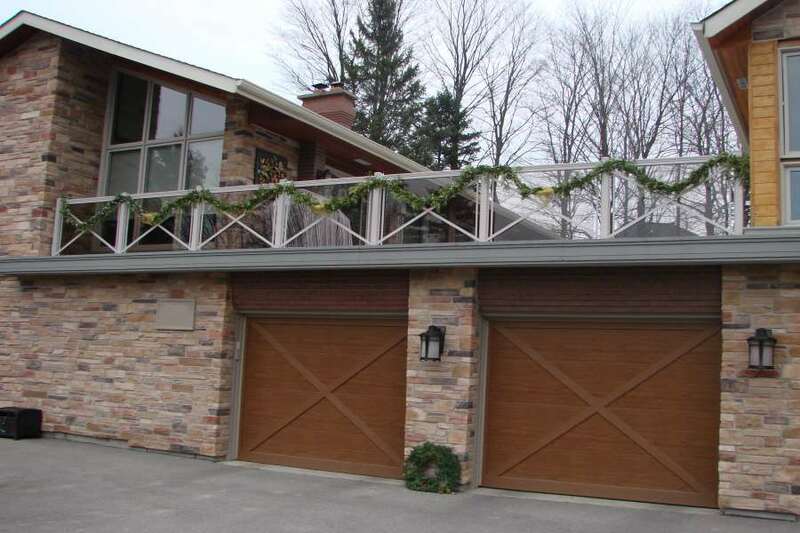 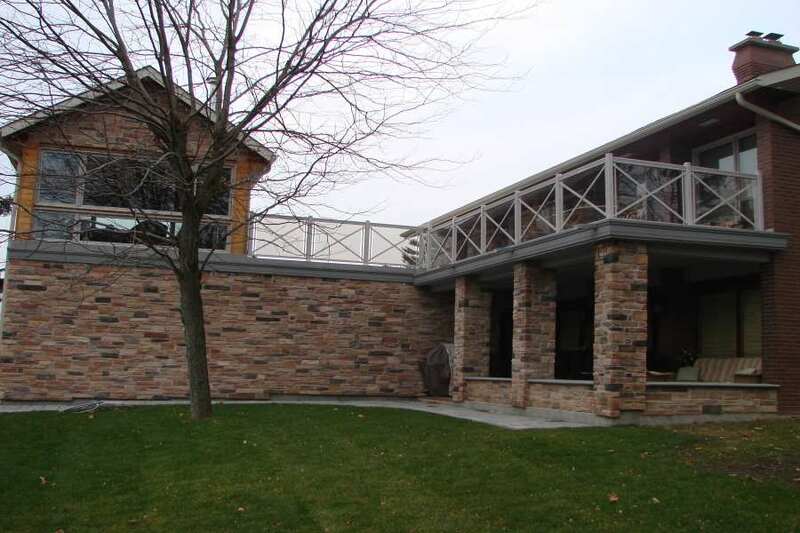 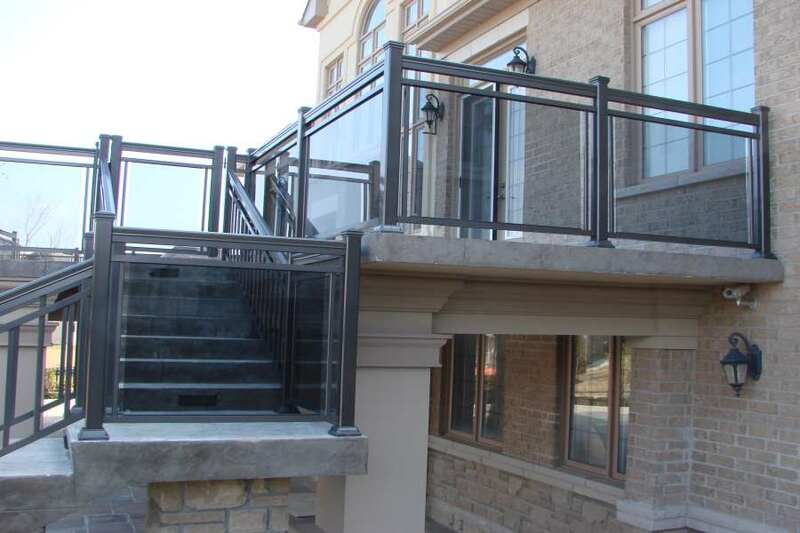 NW Aluminum designs are architectural marvel because of their clean non-weld appearance. 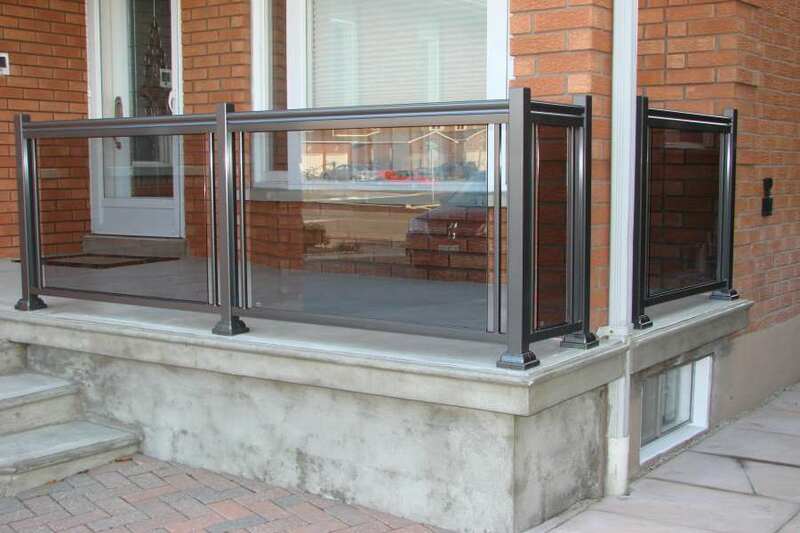 They are durable and come in various finishes and colors. 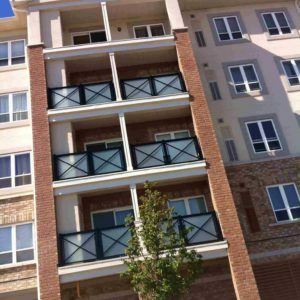 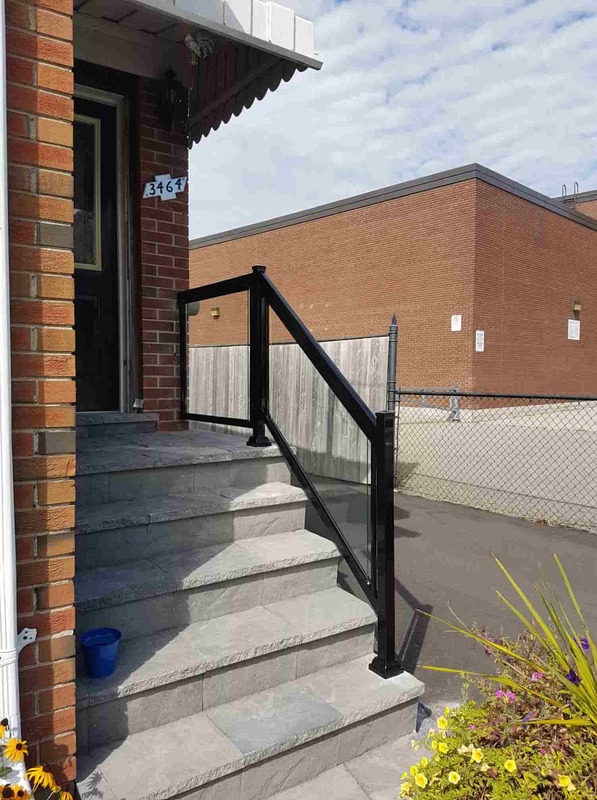 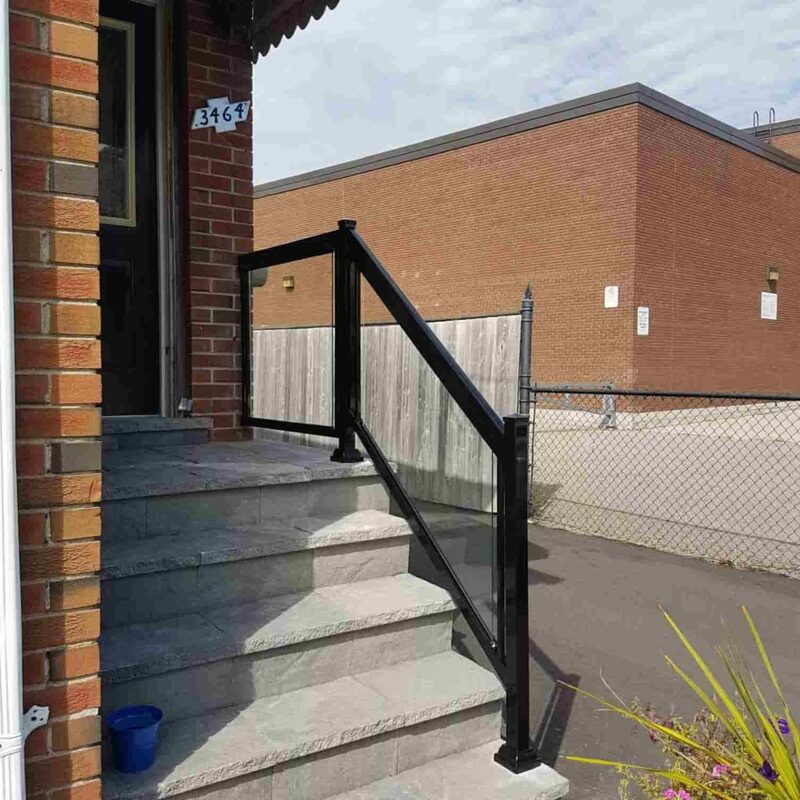 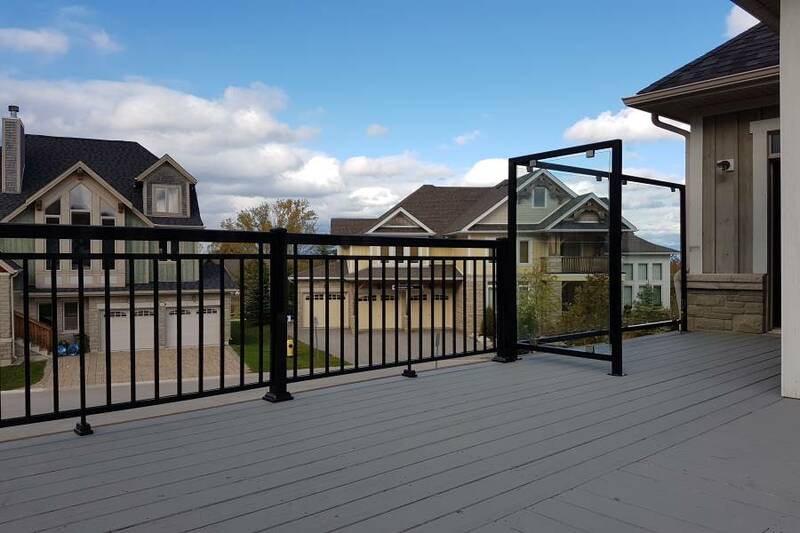 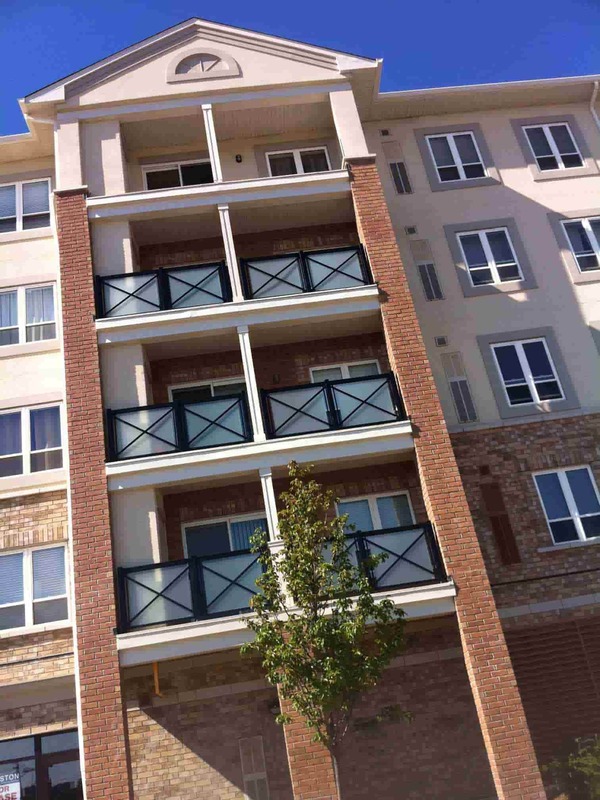 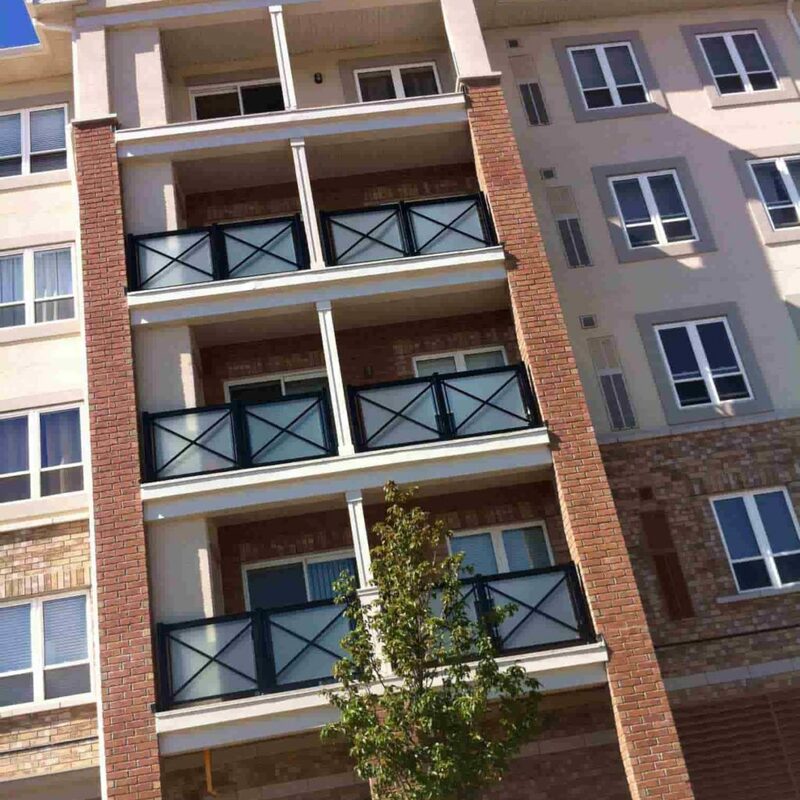 Our powder coating also provides for little maintenance and gives the exterior railing system the stamina to withstand different weather conditions. 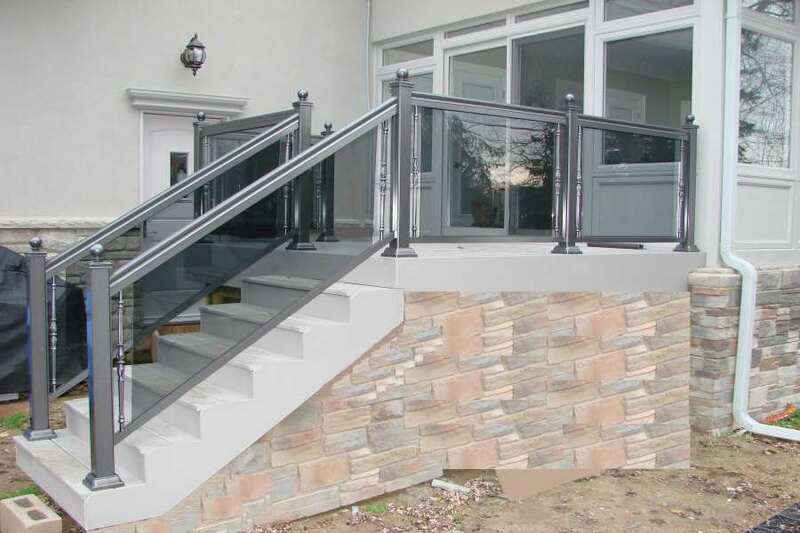 You don’t have to sacrifice strength for an attractive finish. 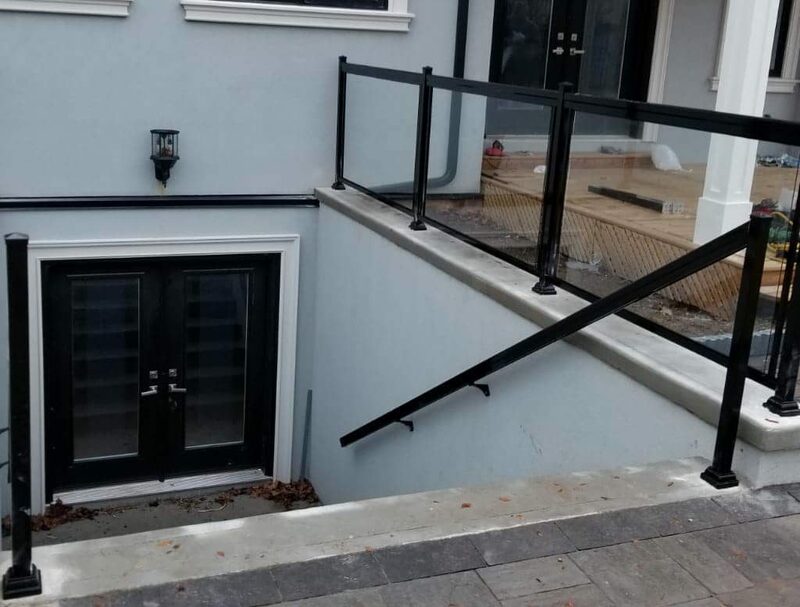 In this instance, you can have your cake and eat it. 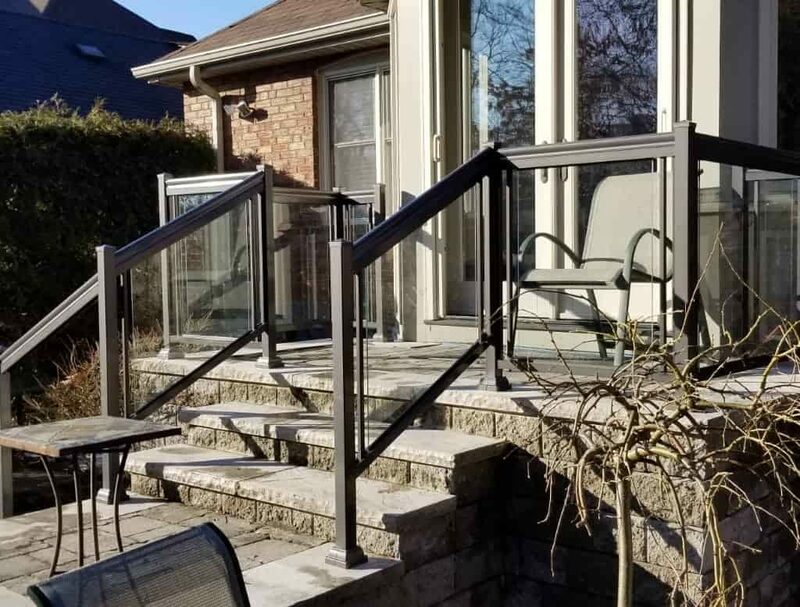 If you aren’t convinced about these designs the design experts at NW Aluminum will come up with alternatives that cater for your tastes. 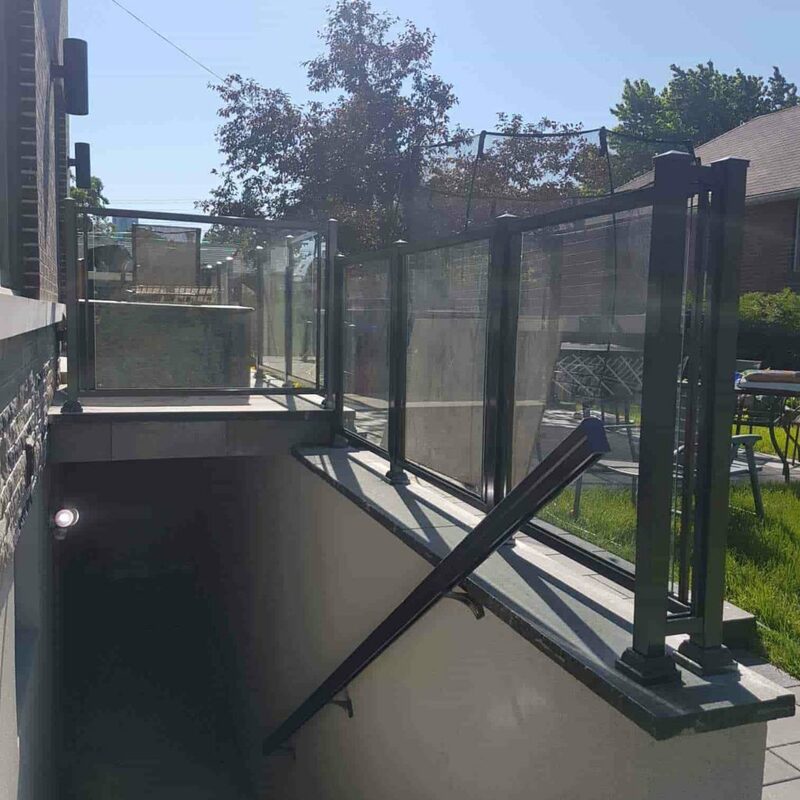 We provide custom angle posts, side mount brackets, aluminum posts, concealed fasteners, base plates, top rails and glass panels. 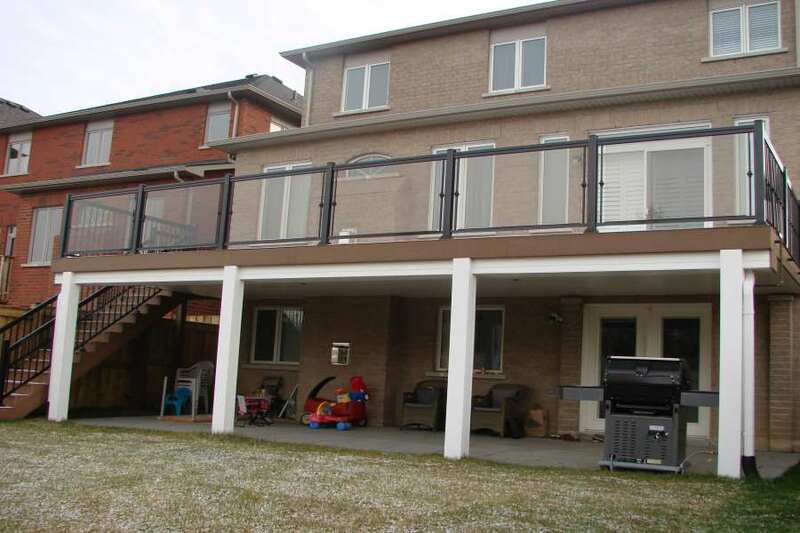 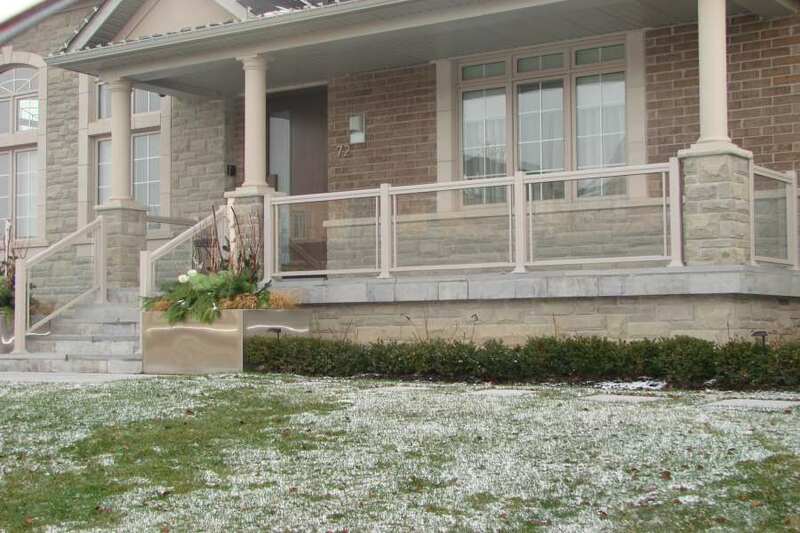 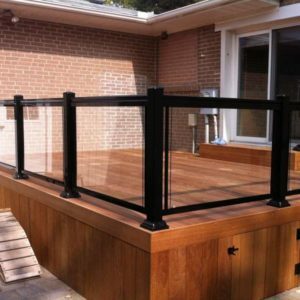 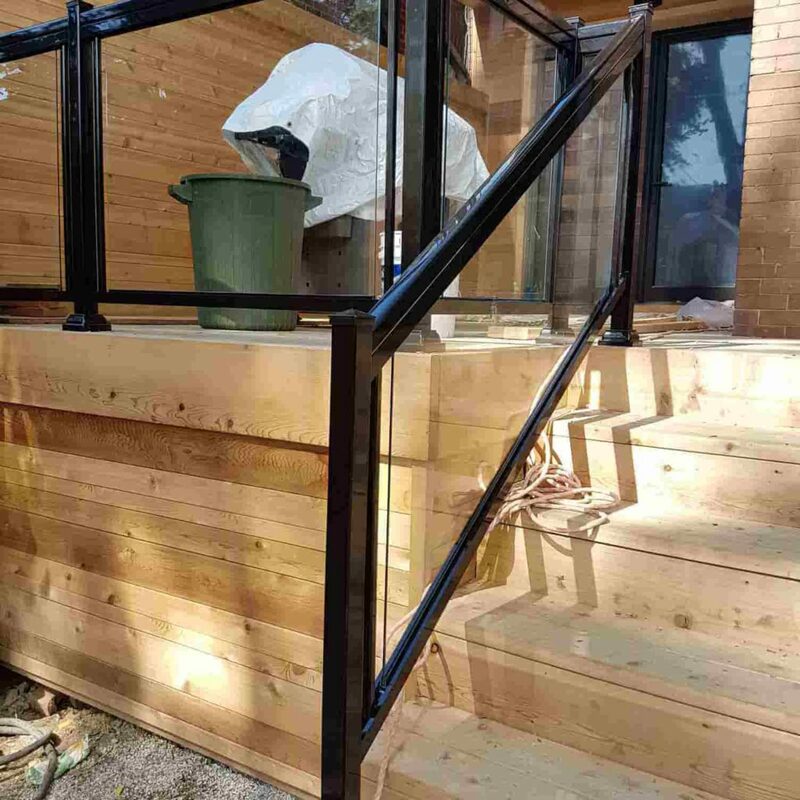 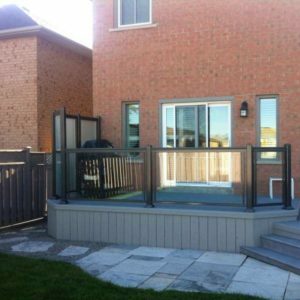 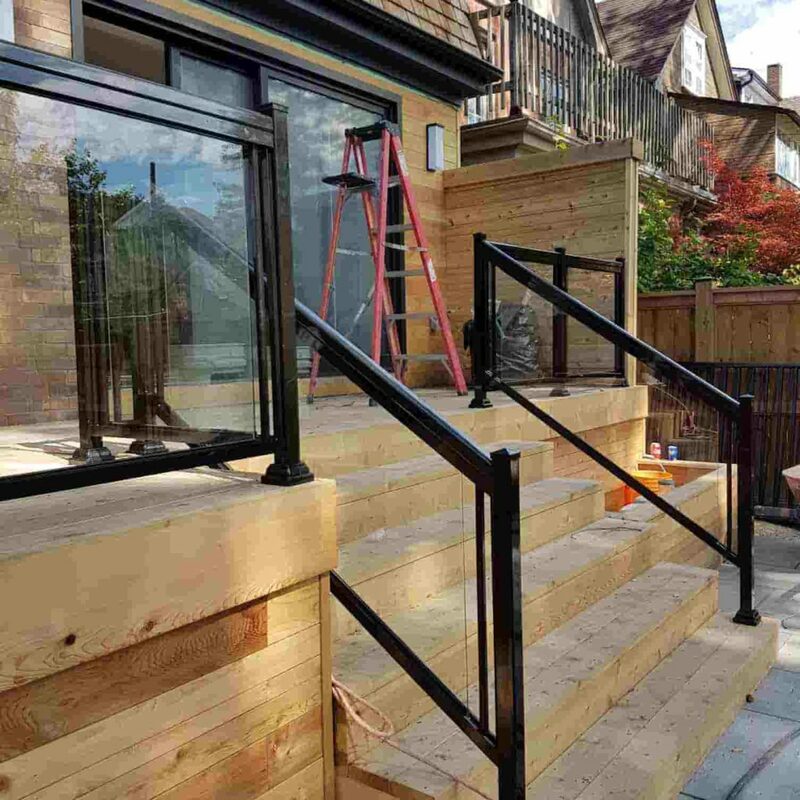 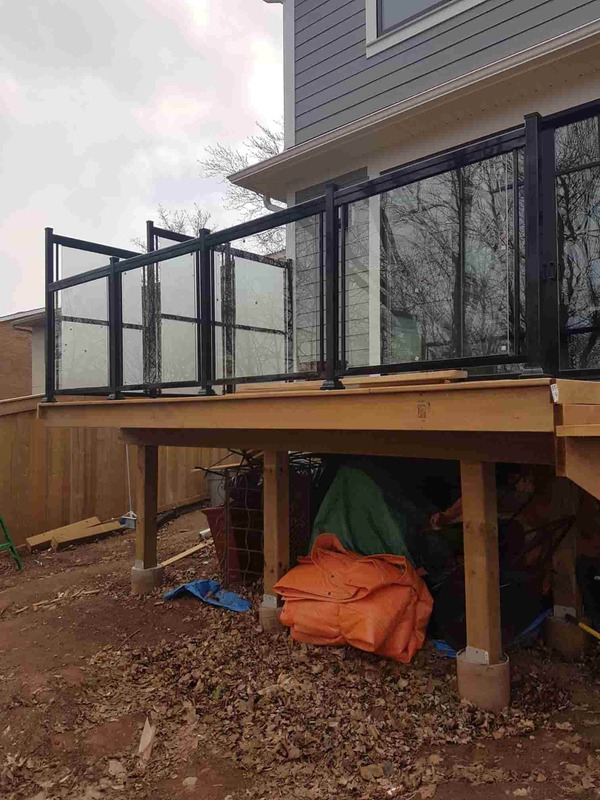 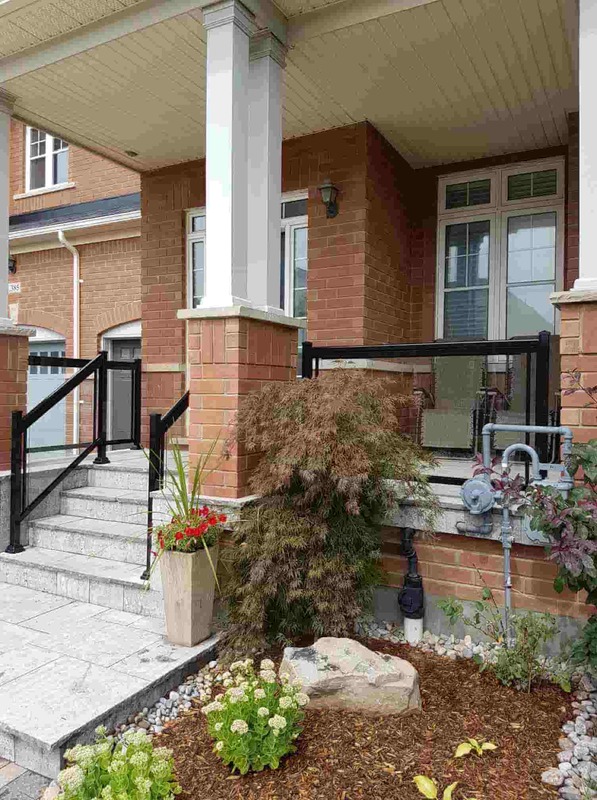 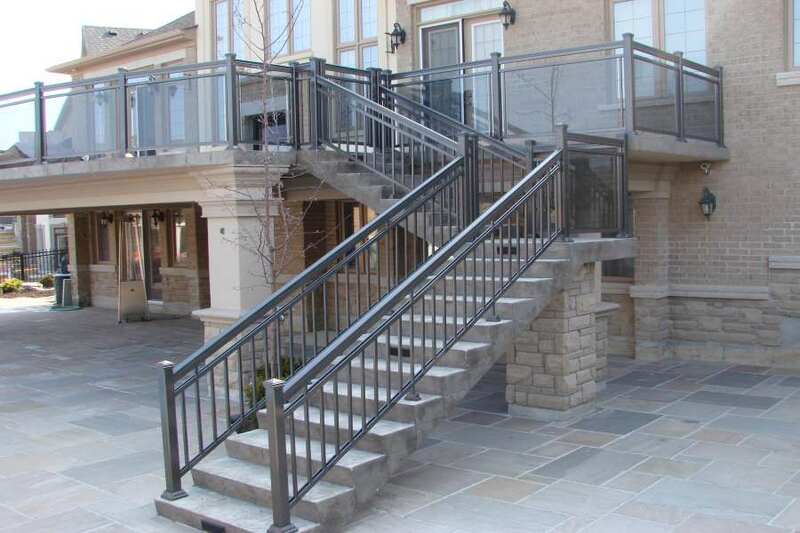 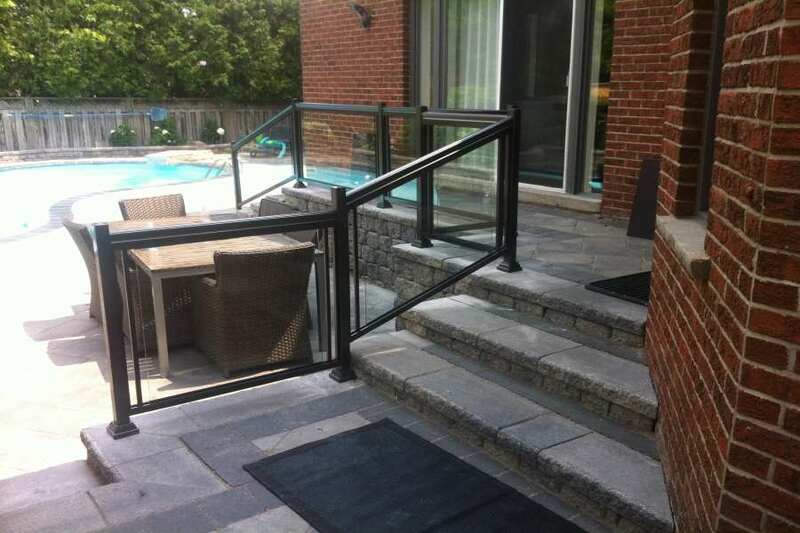 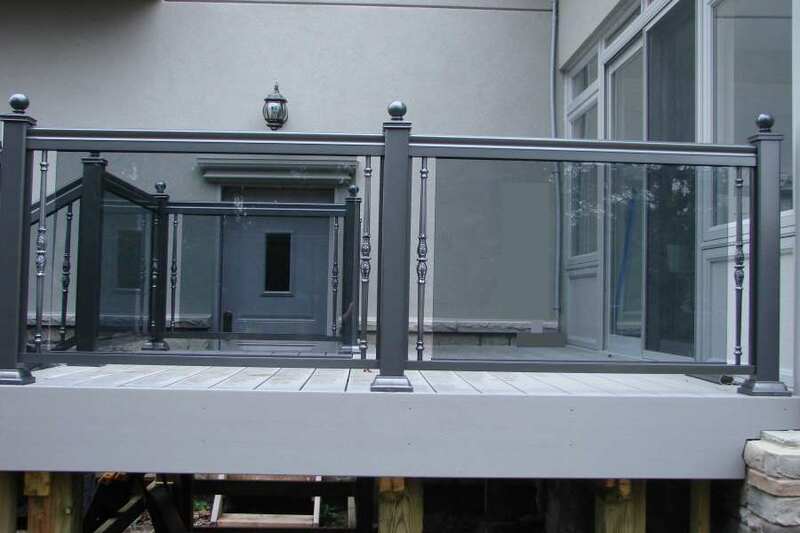 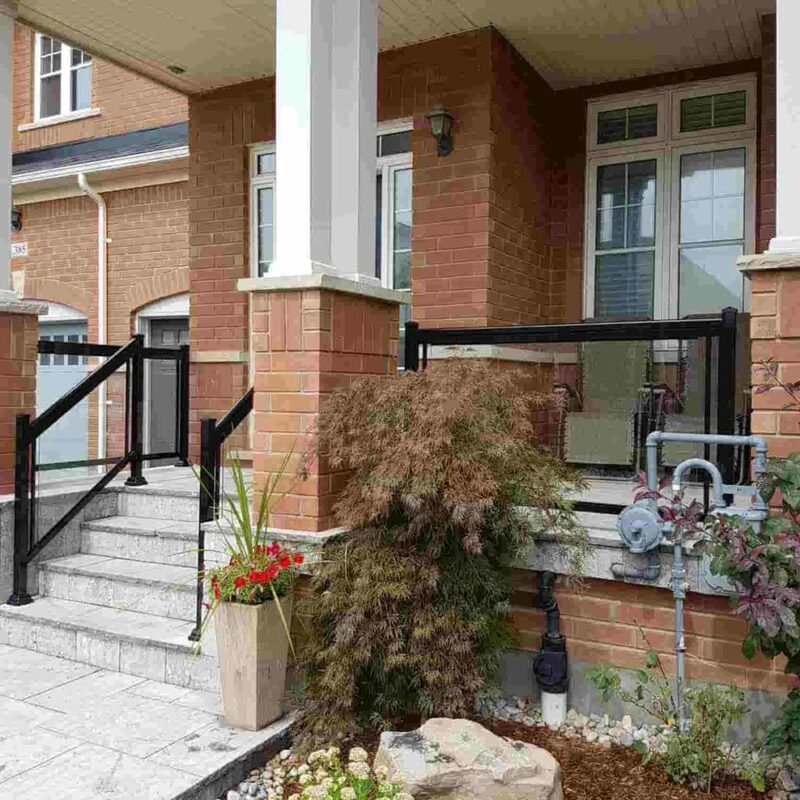 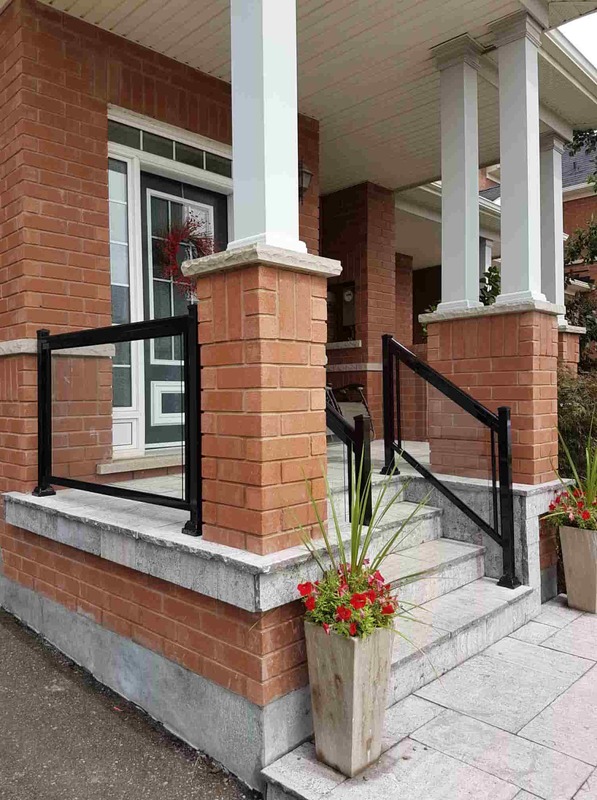 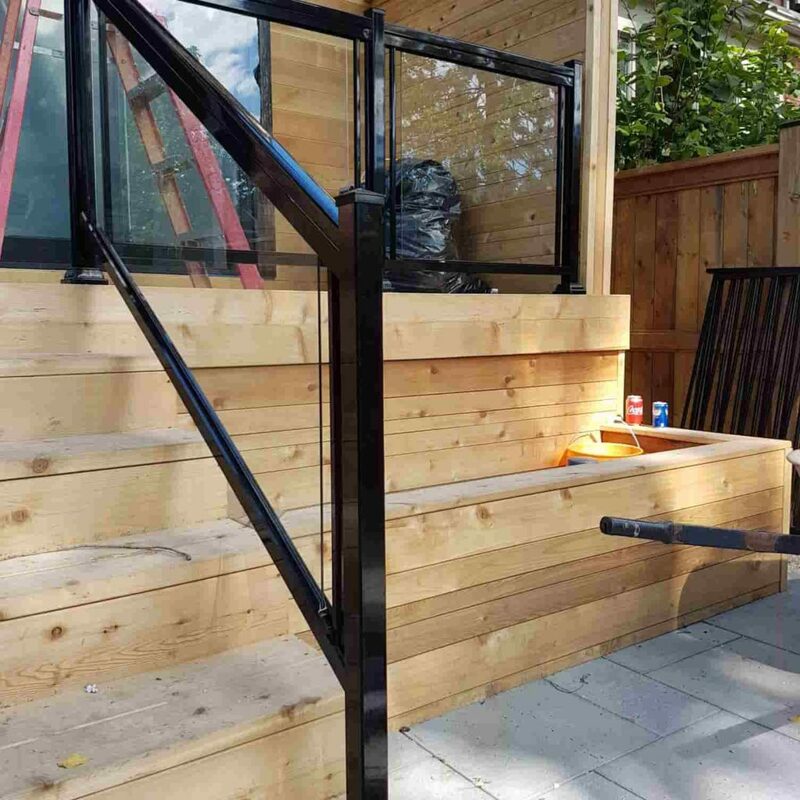 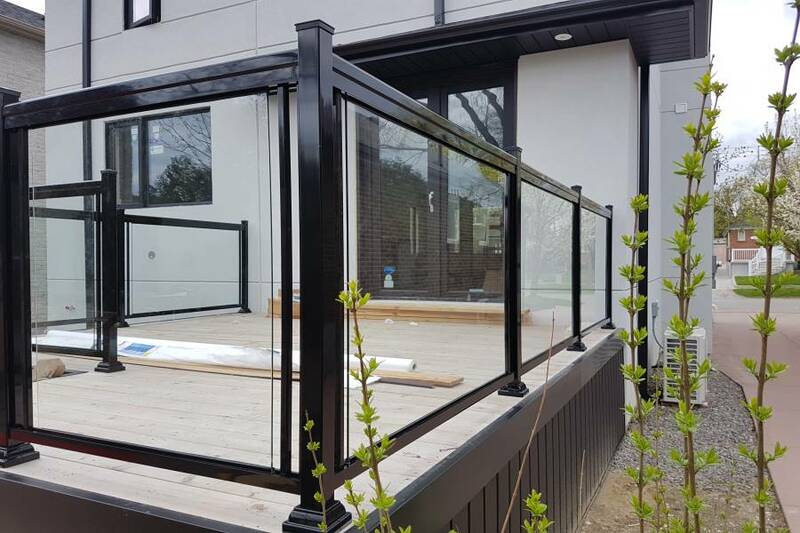 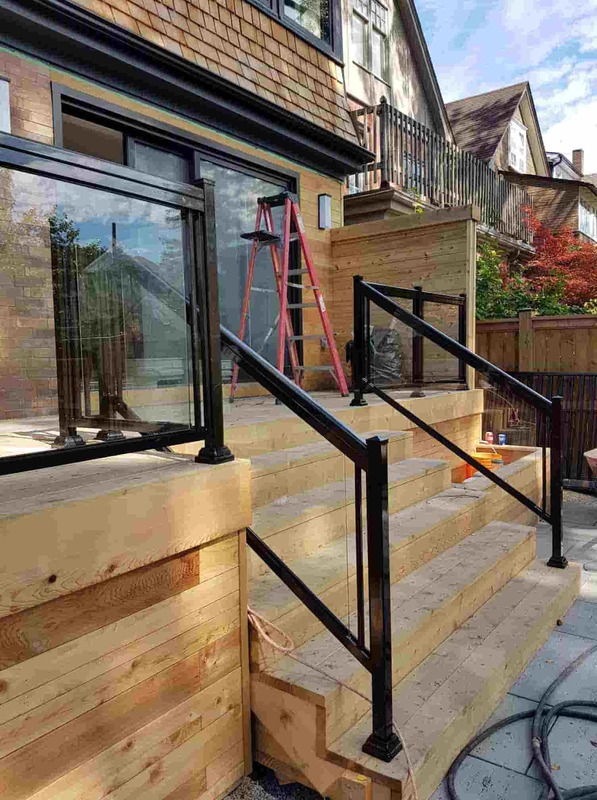 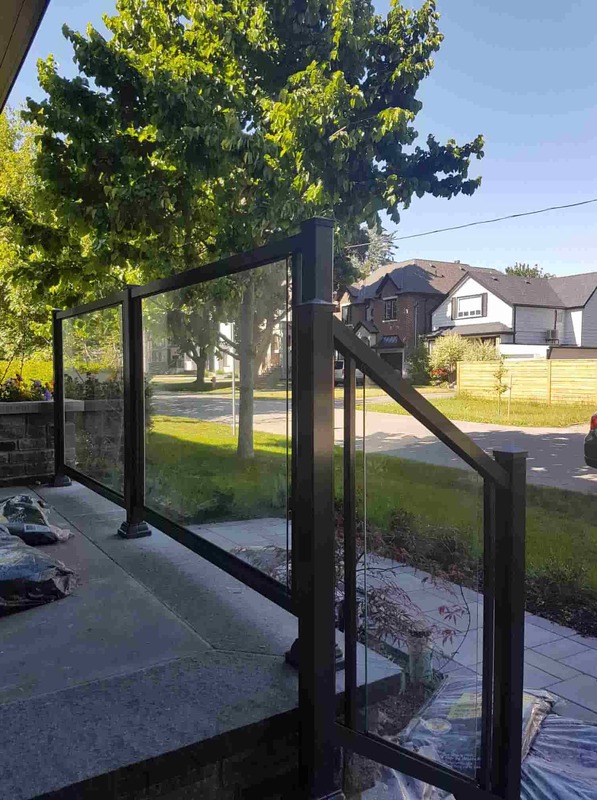 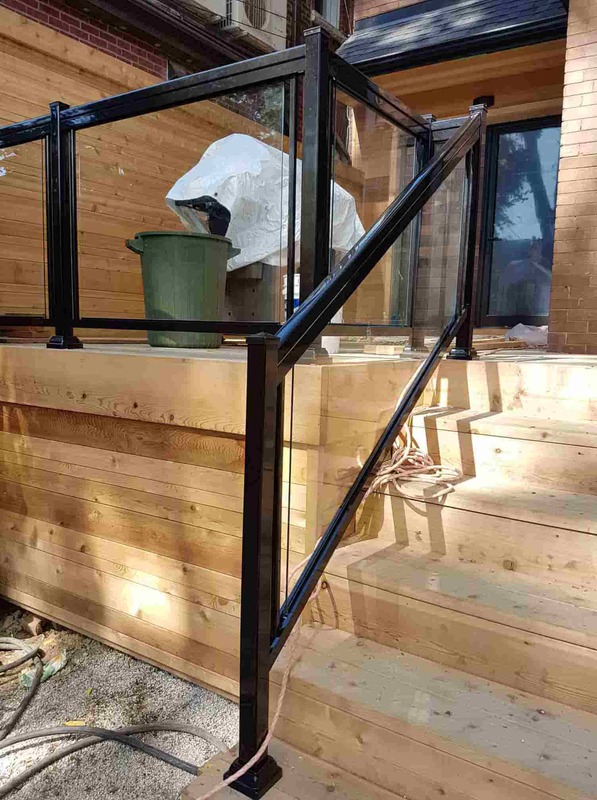 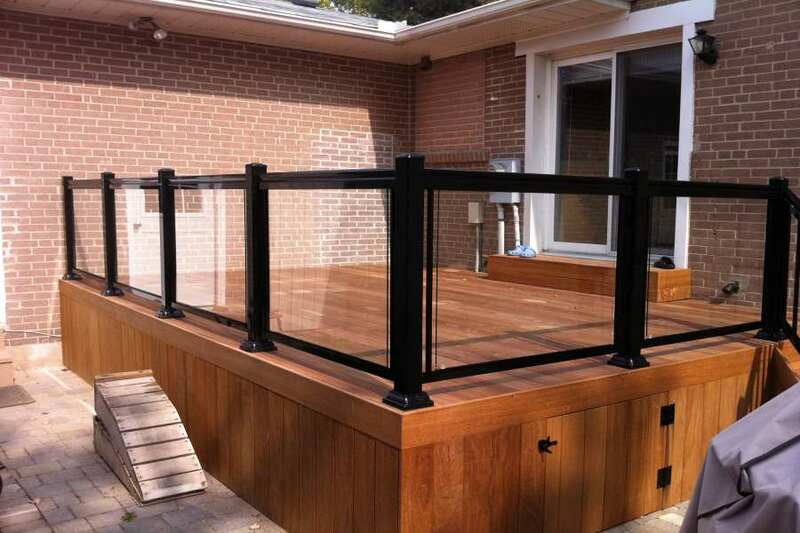 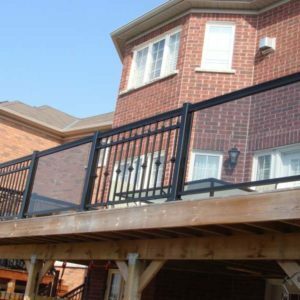 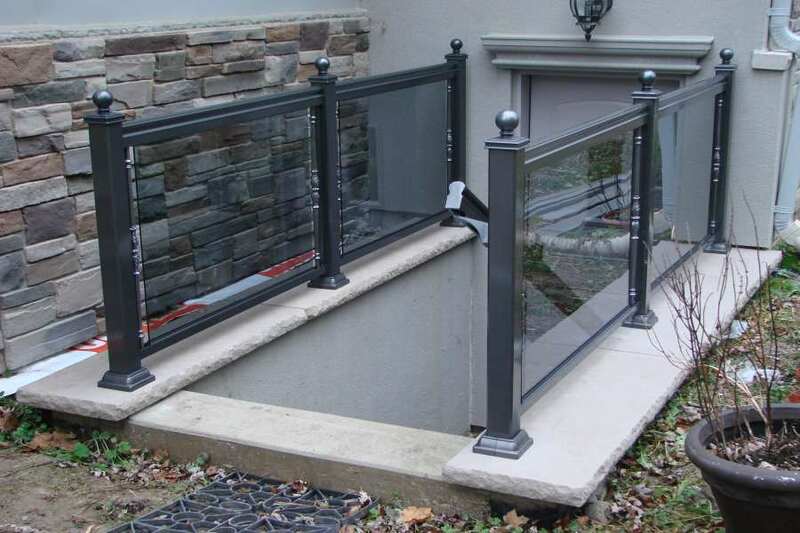 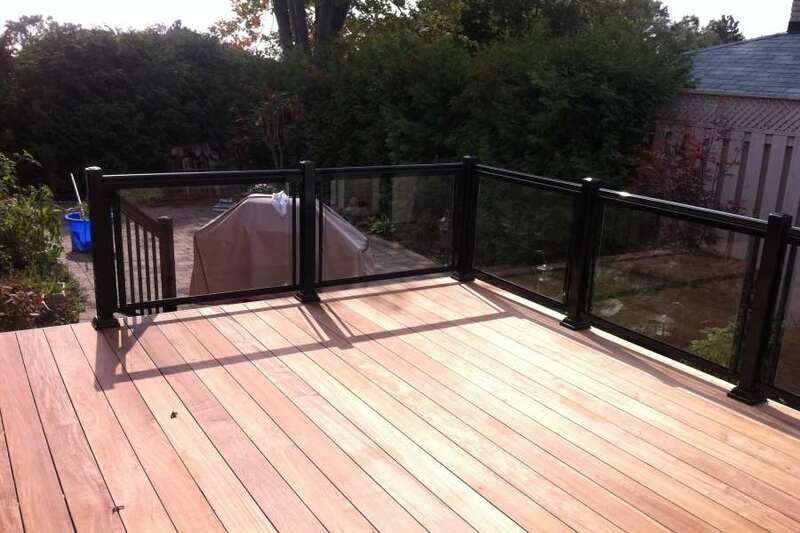 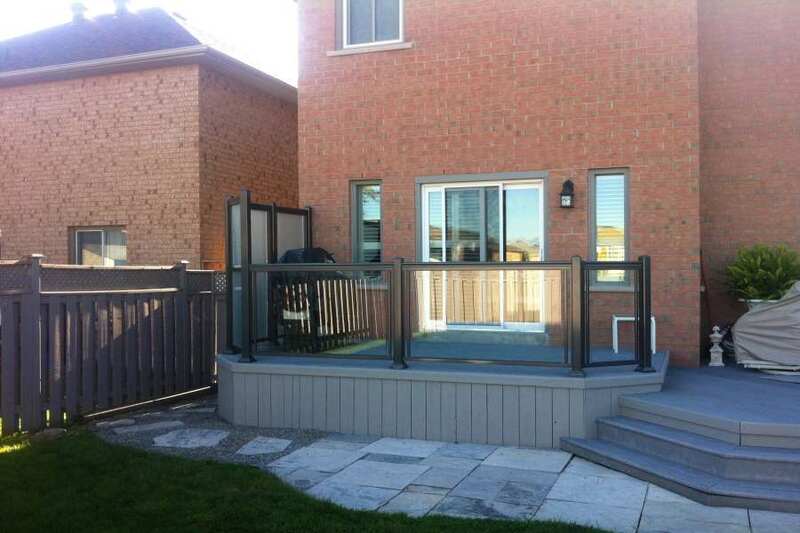 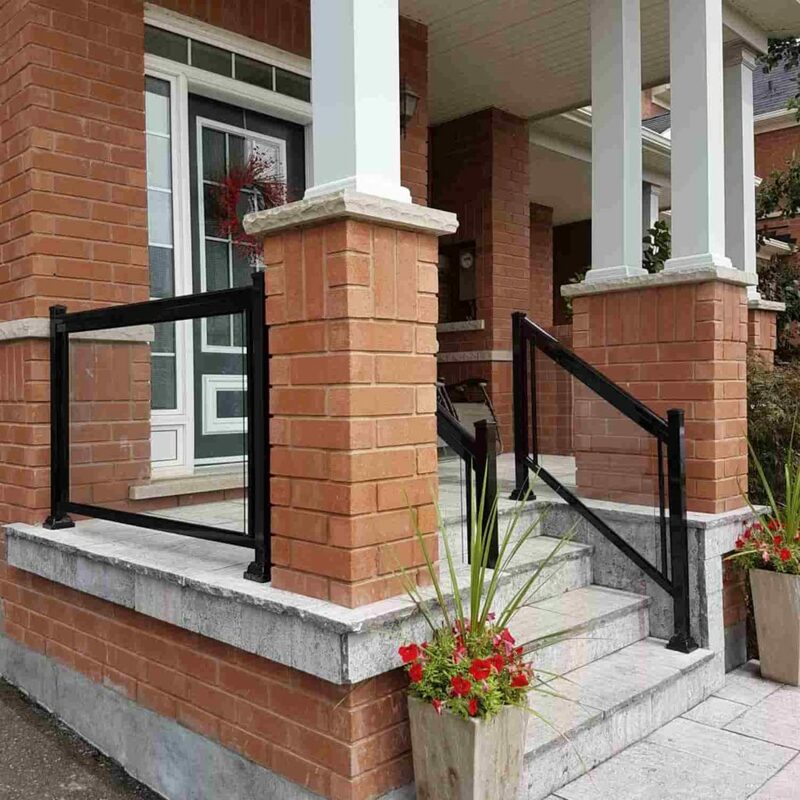 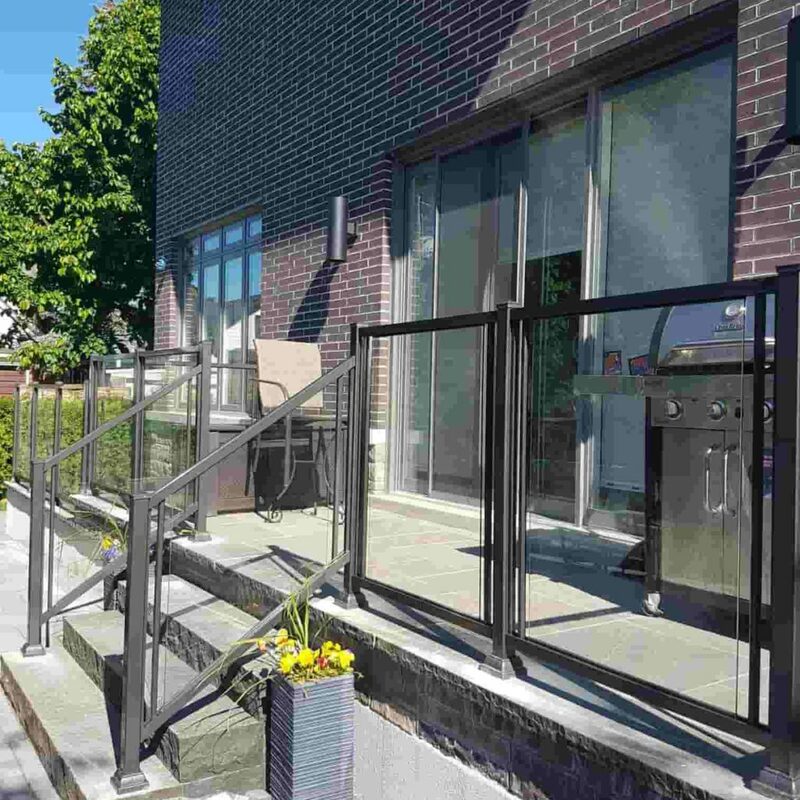 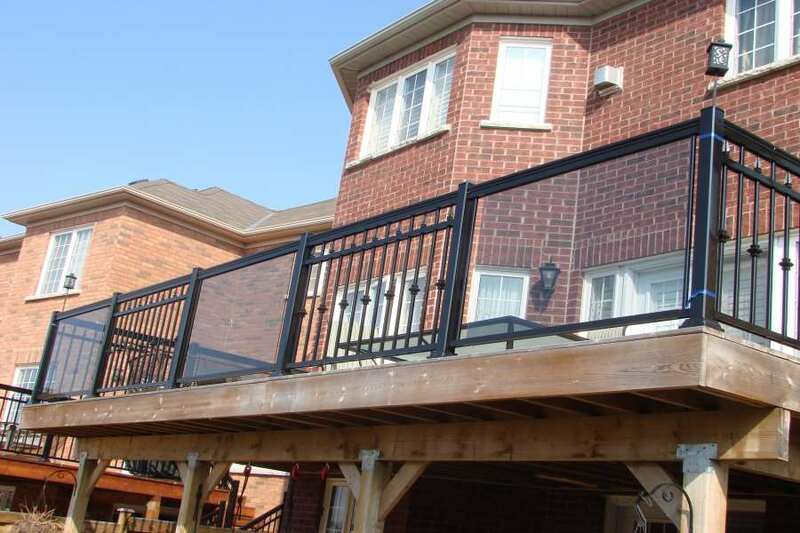 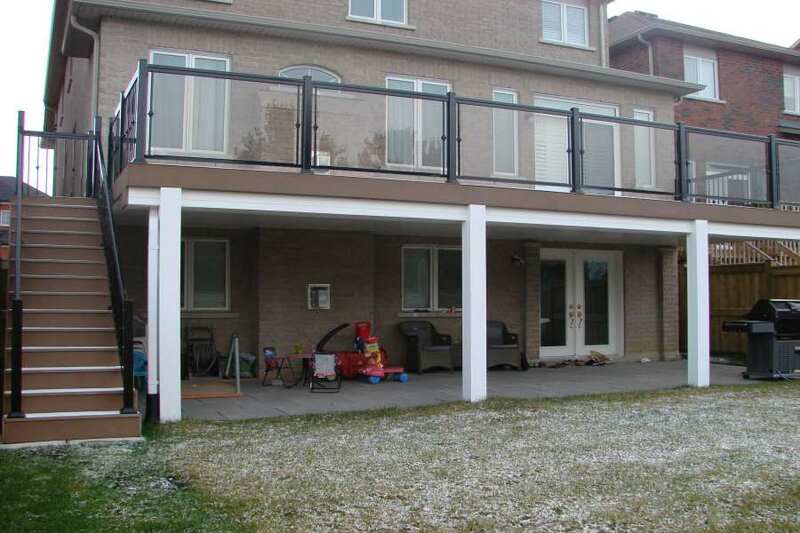 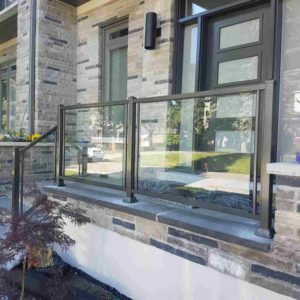 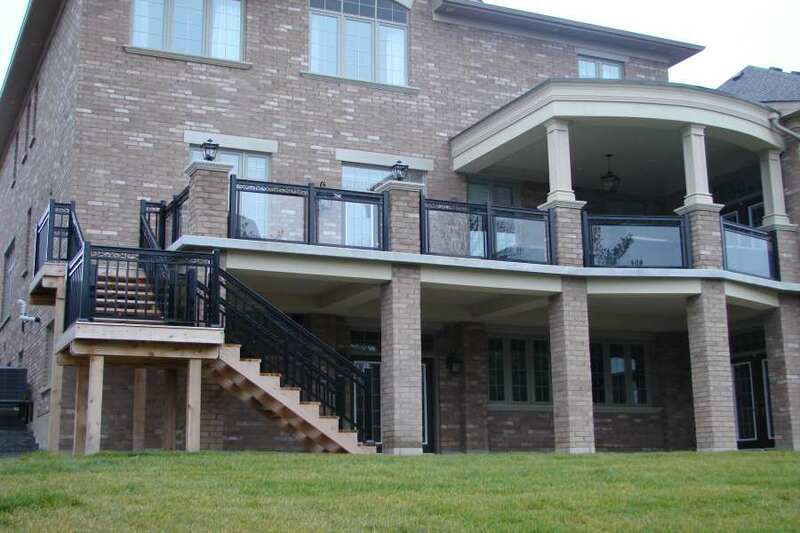 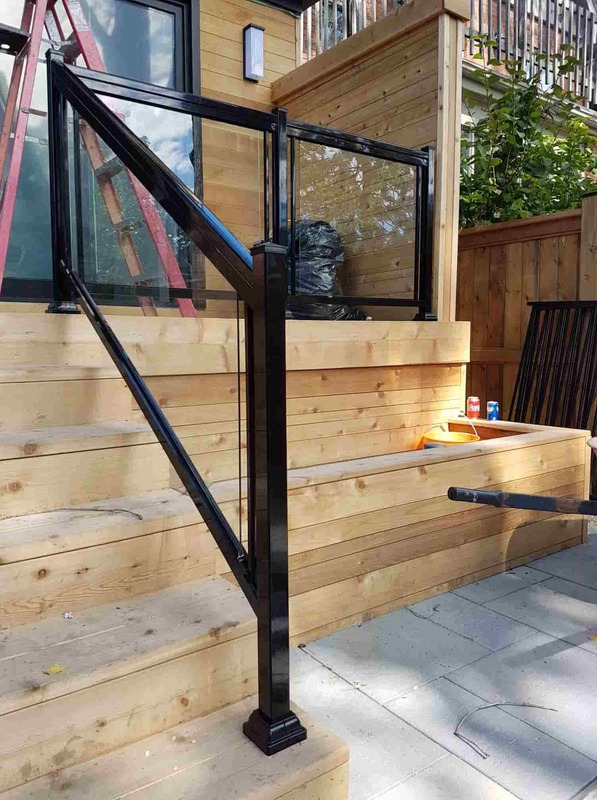 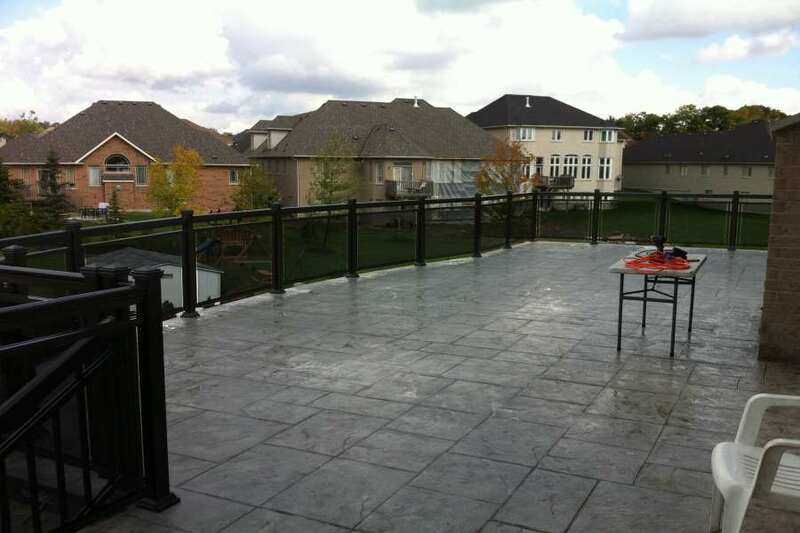 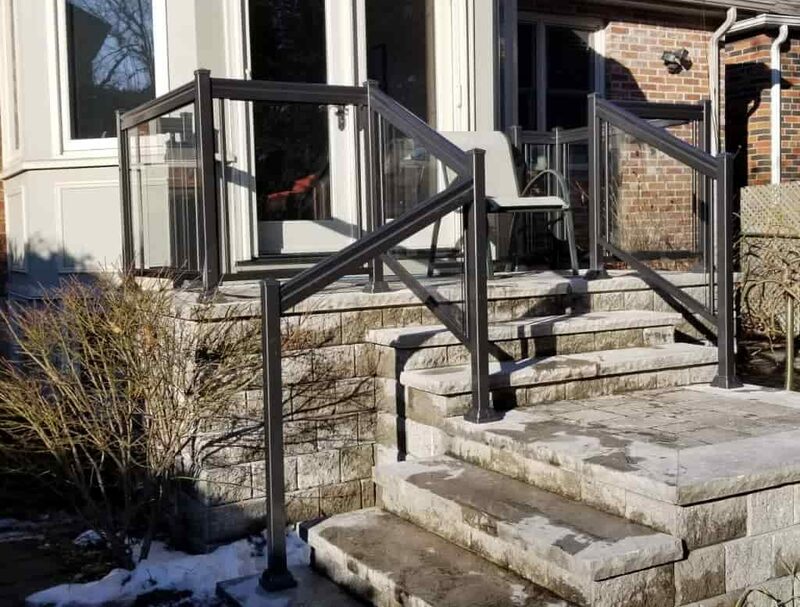 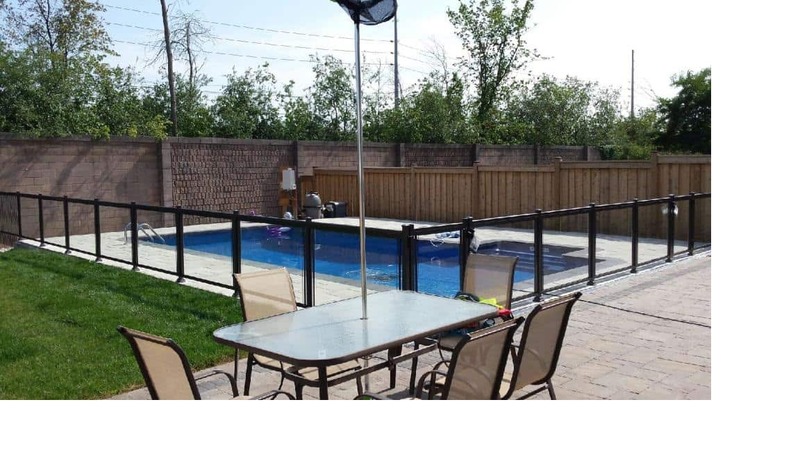 North West Aluminum is your one-stop shop for aluminum and glass railings in Toronto. 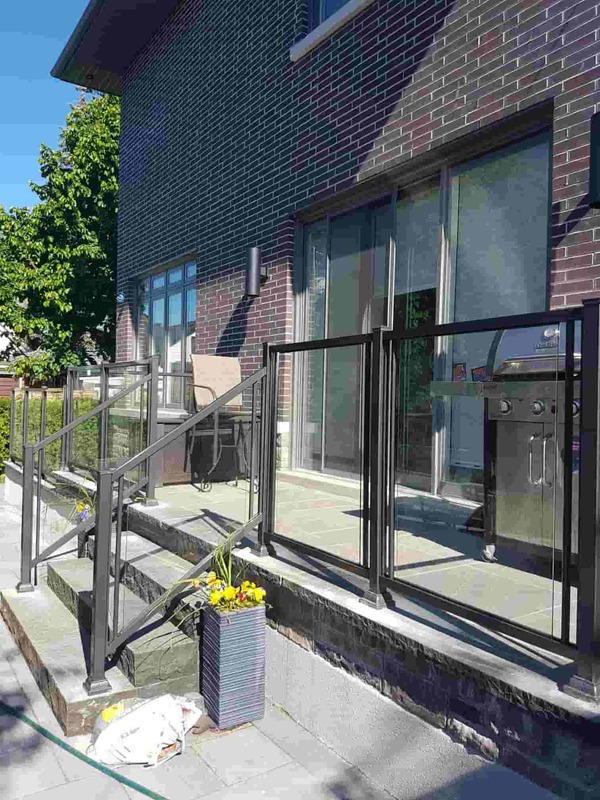 Come and have a chat with NW Aluminum technicians. 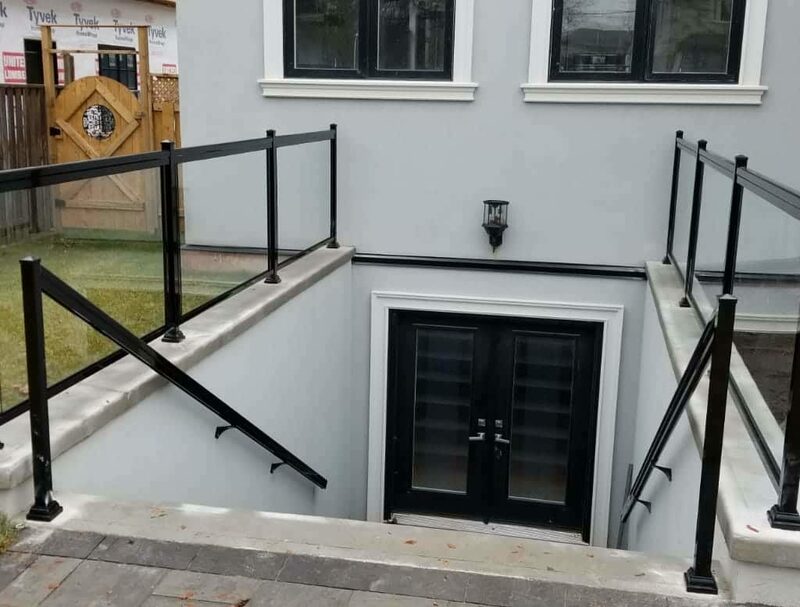 They will have you sorted out in no time. 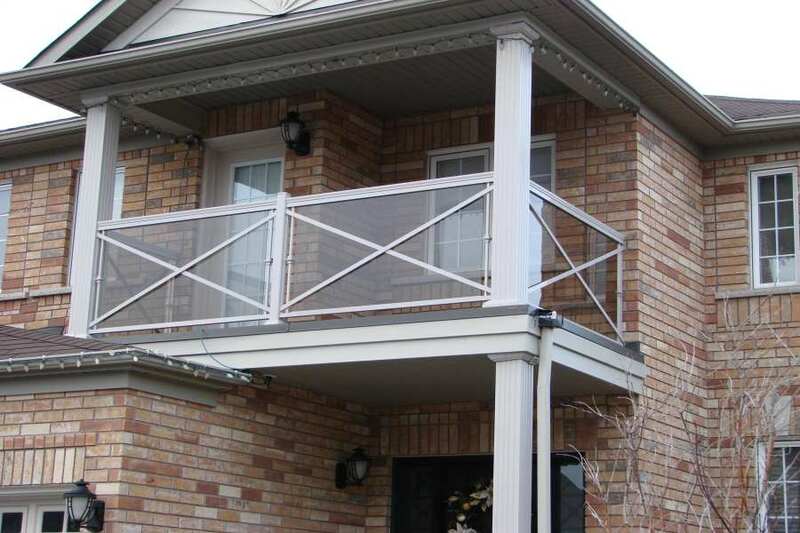 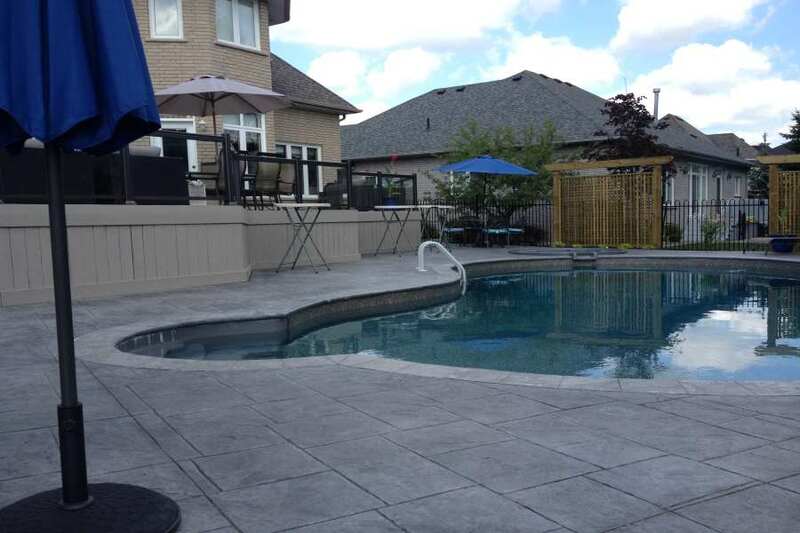 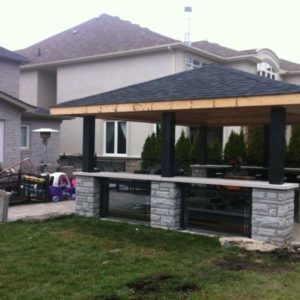 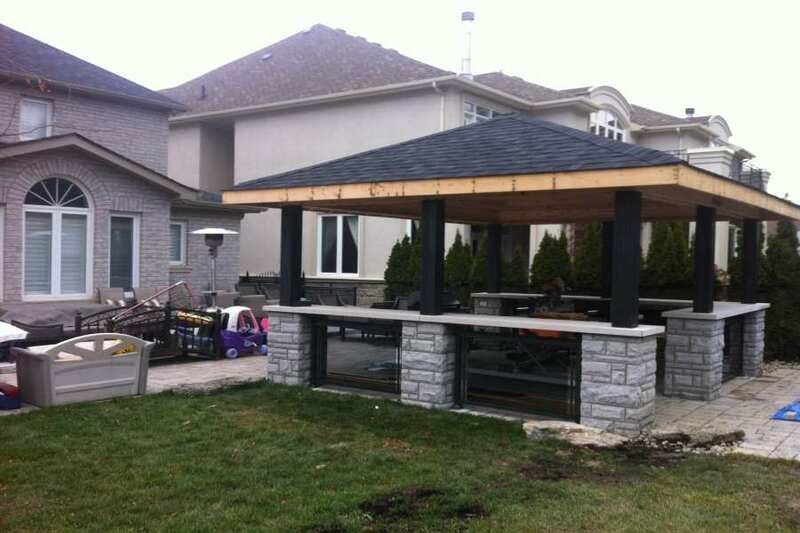 They are best placed to provide you with solutions about aluminum and exterior glass railings in Toronto. 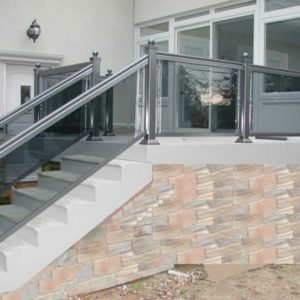 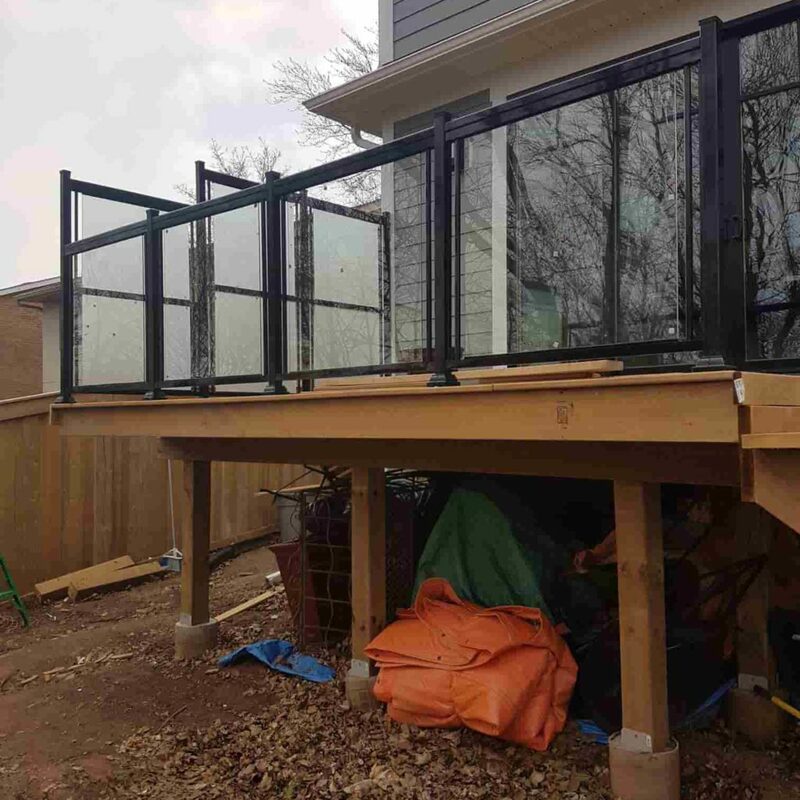 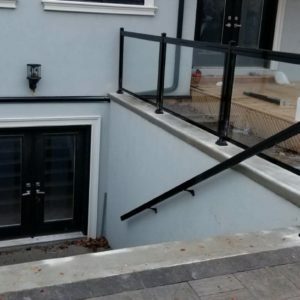 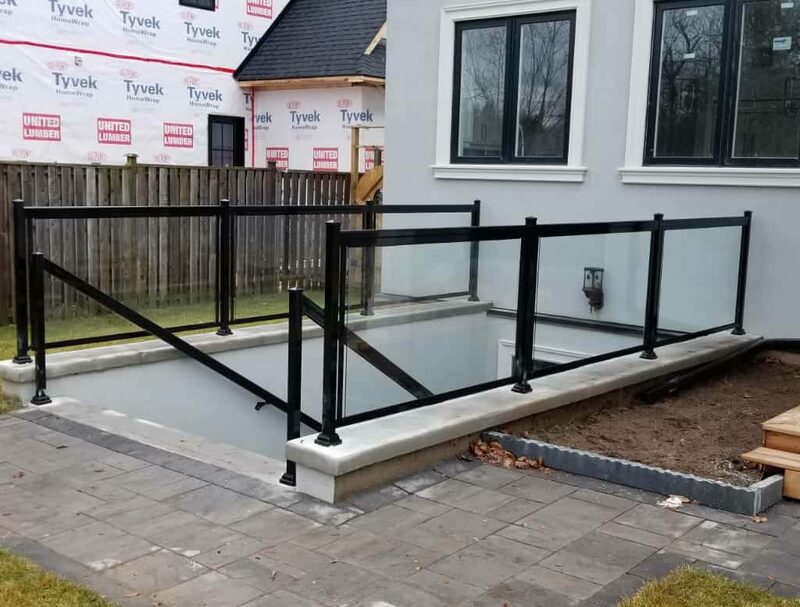 They are passionate about serving clients and utilize cutting edge innovations to develop and manufacture the best aluminum and exterior glass railings. 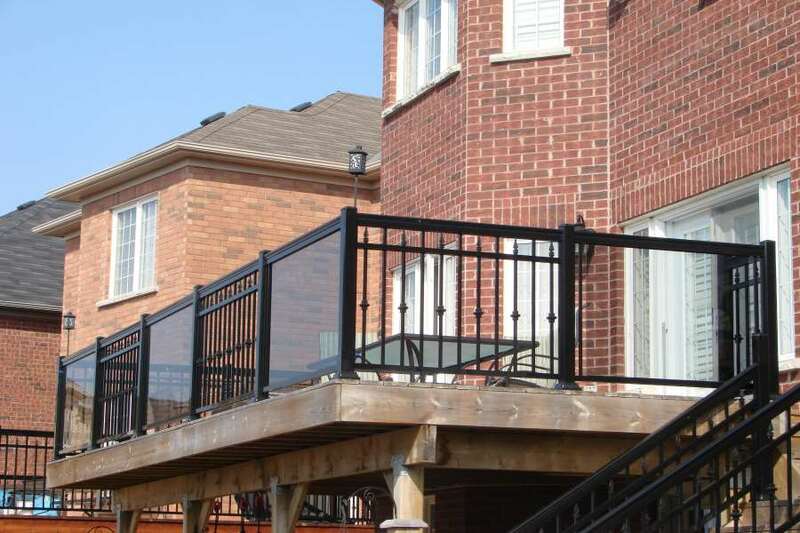 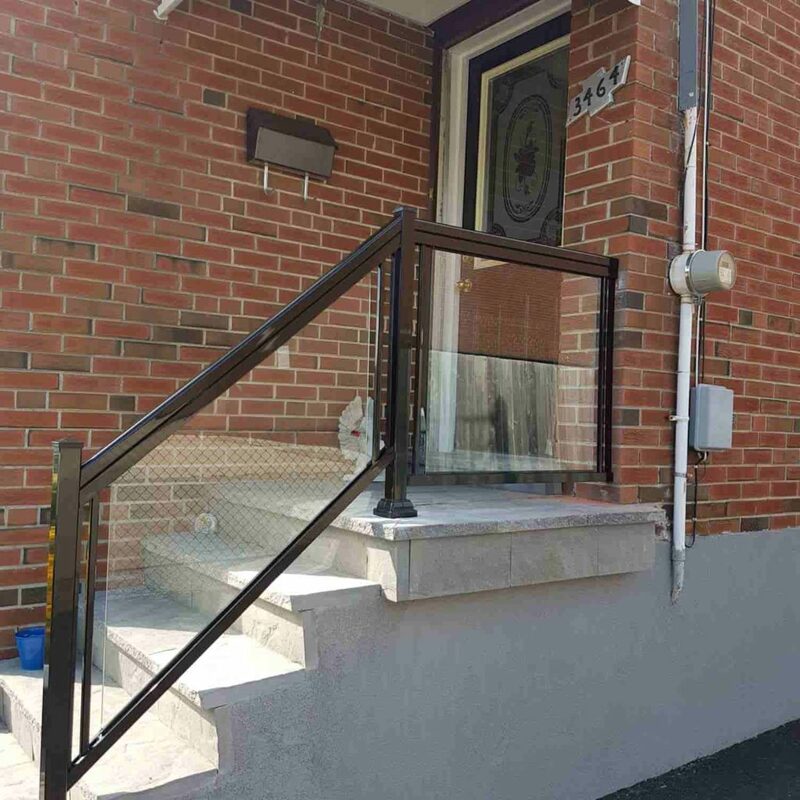 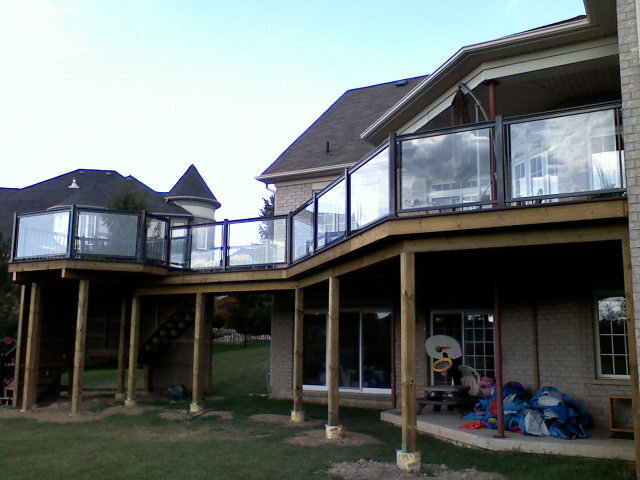 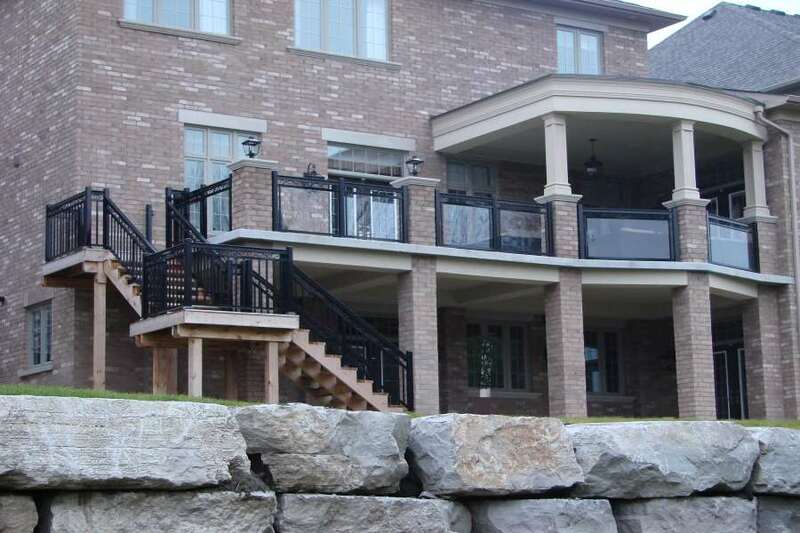 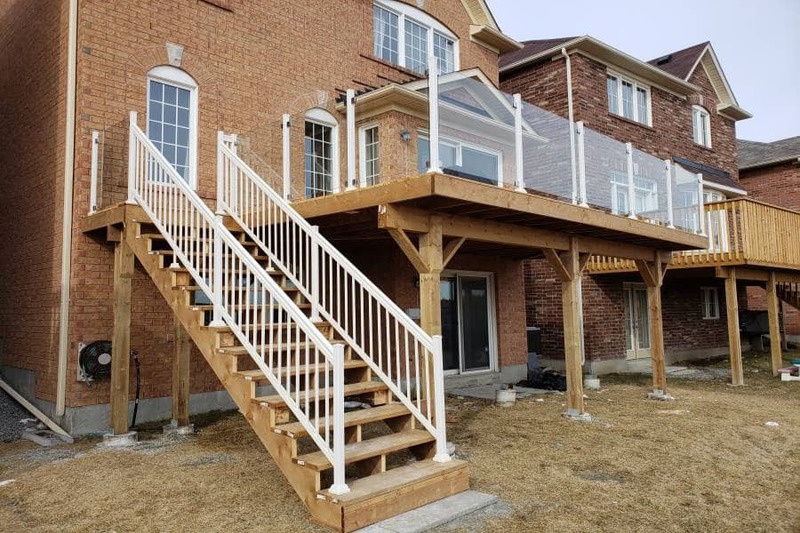 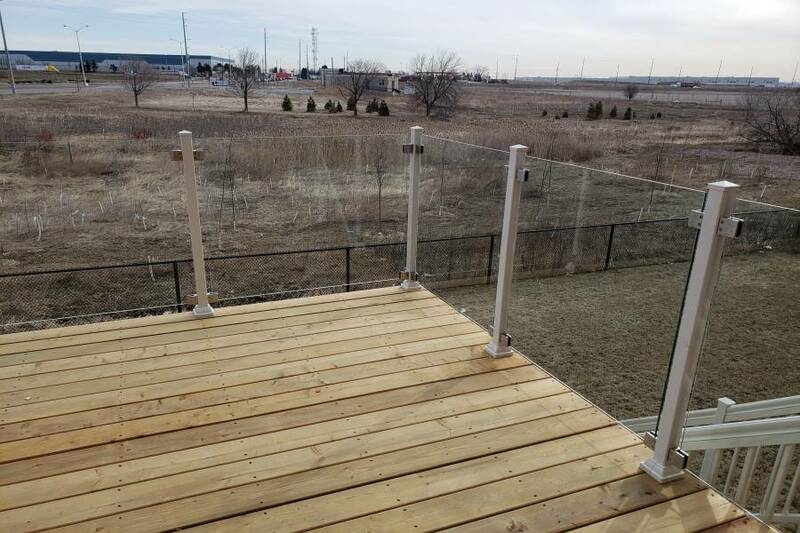 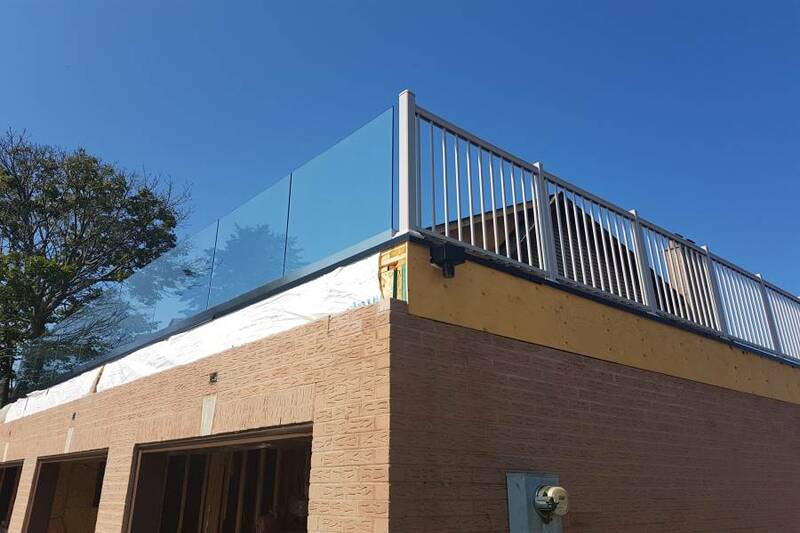 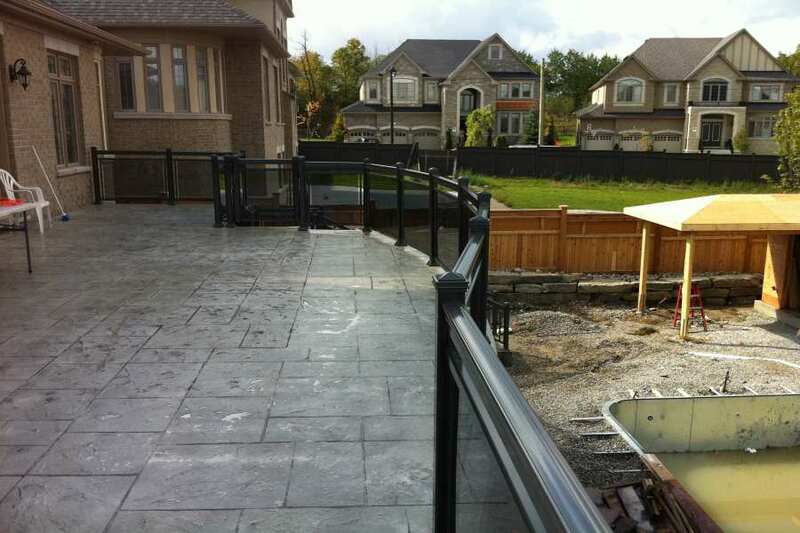 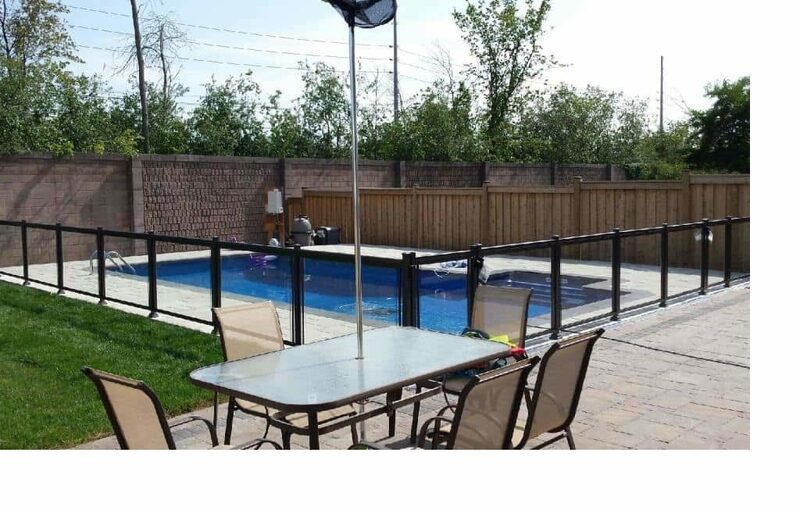 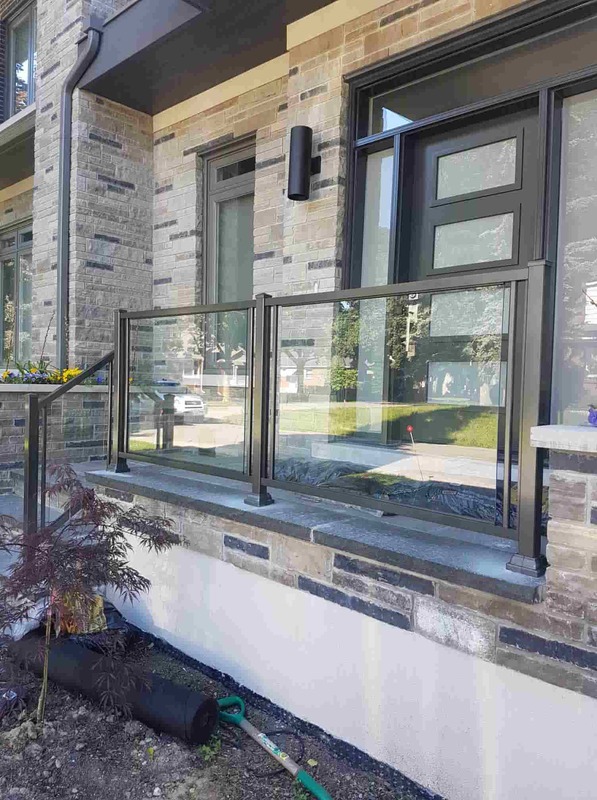 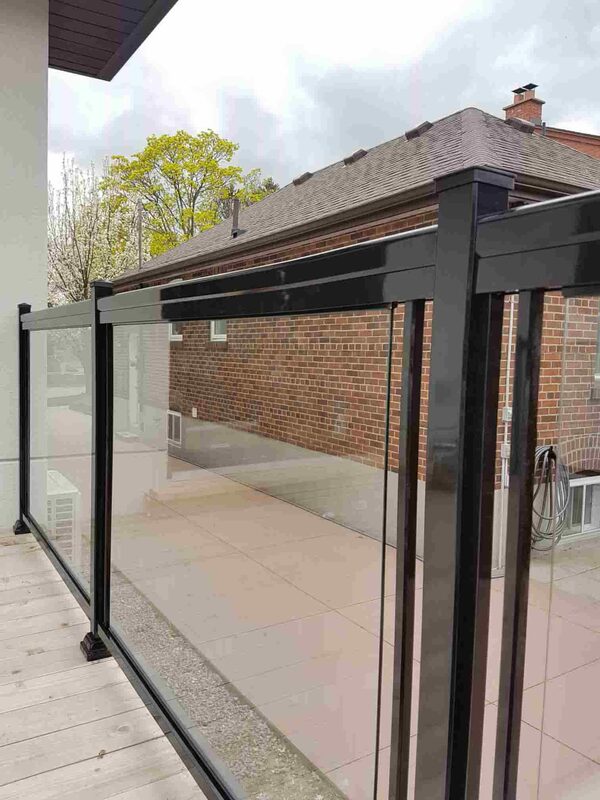 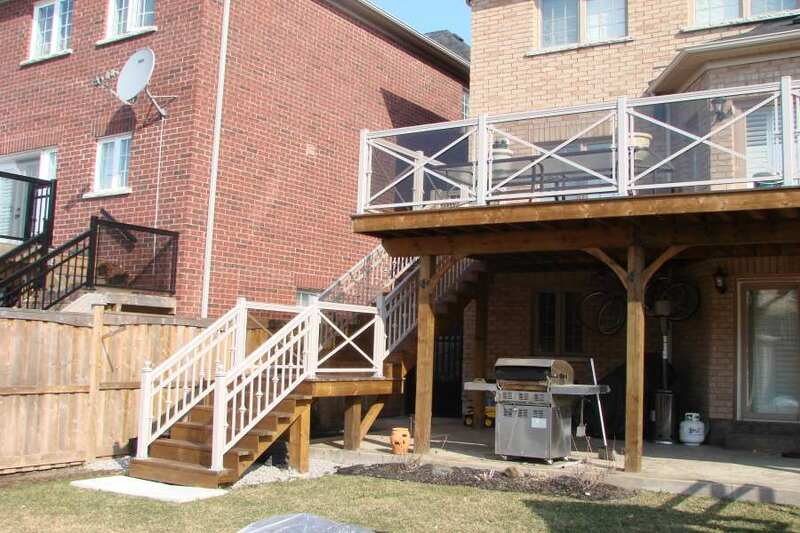 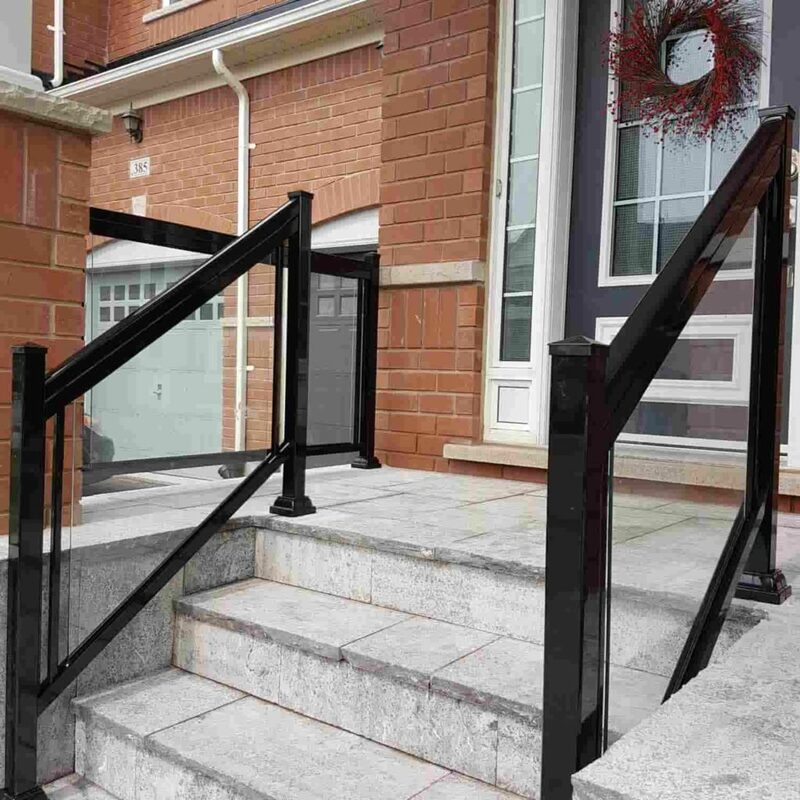 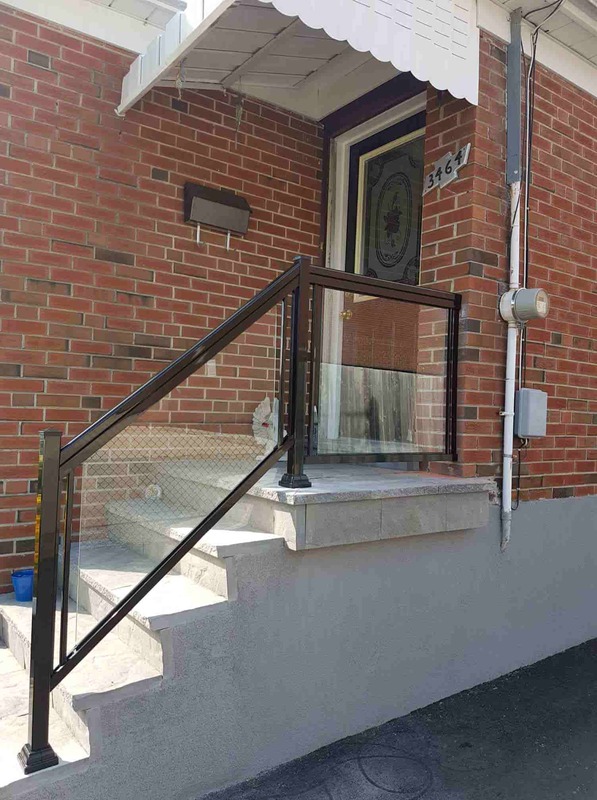 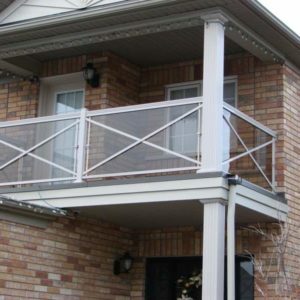 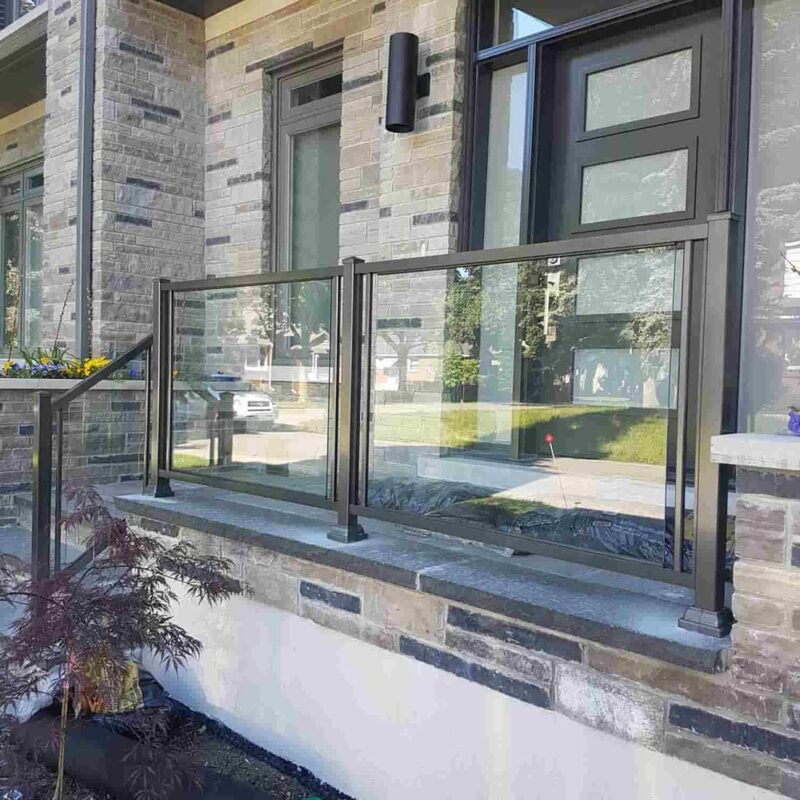 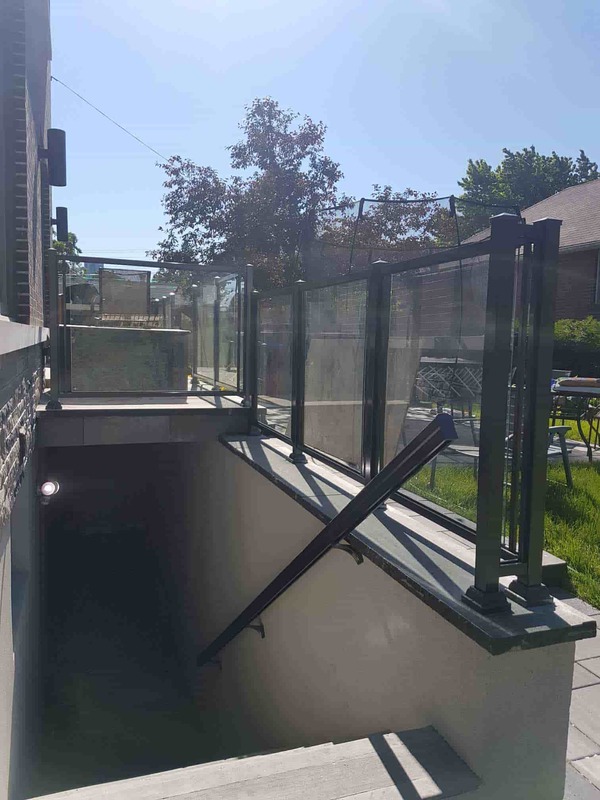 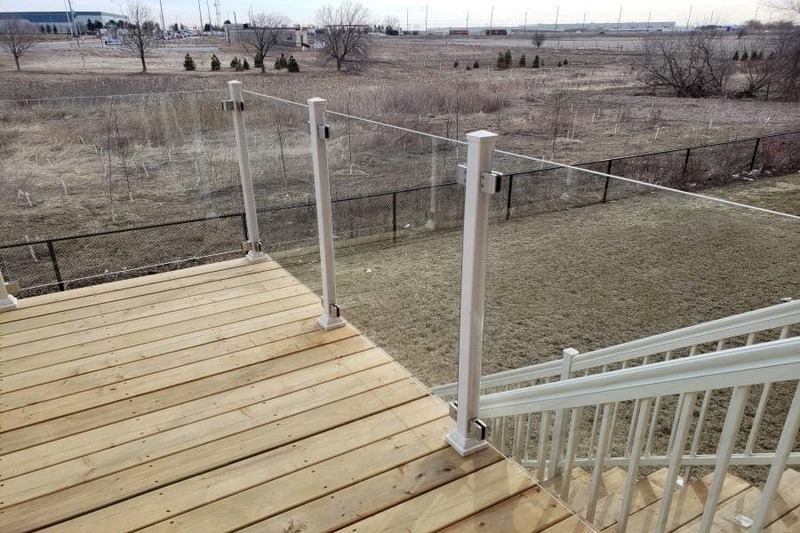 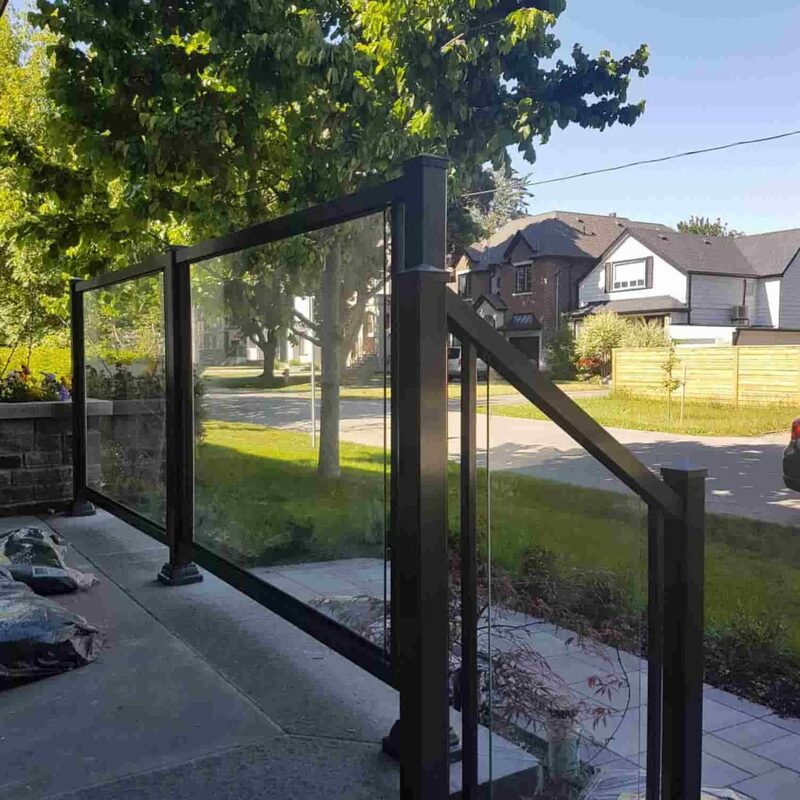 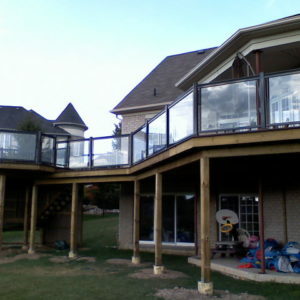 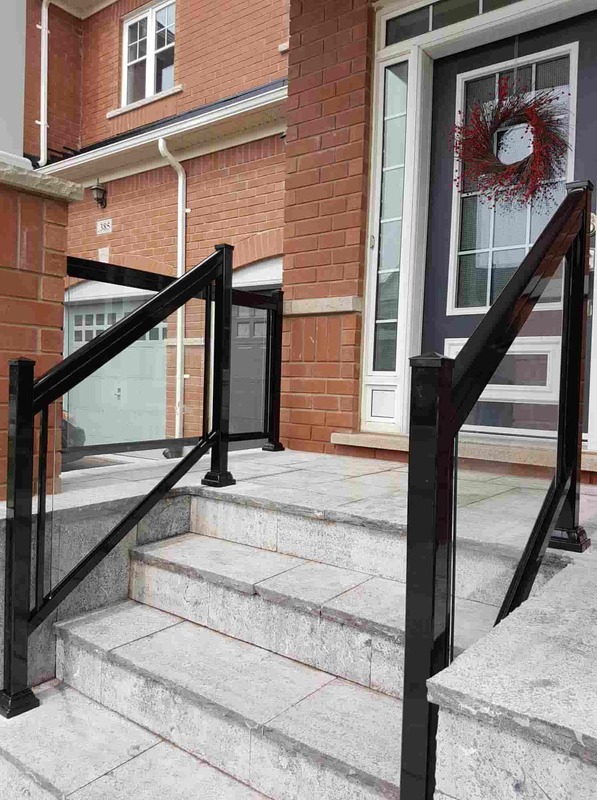 For more details about our aluminum and exterior glass railings and accessories please give us a call on 647-952-5023.